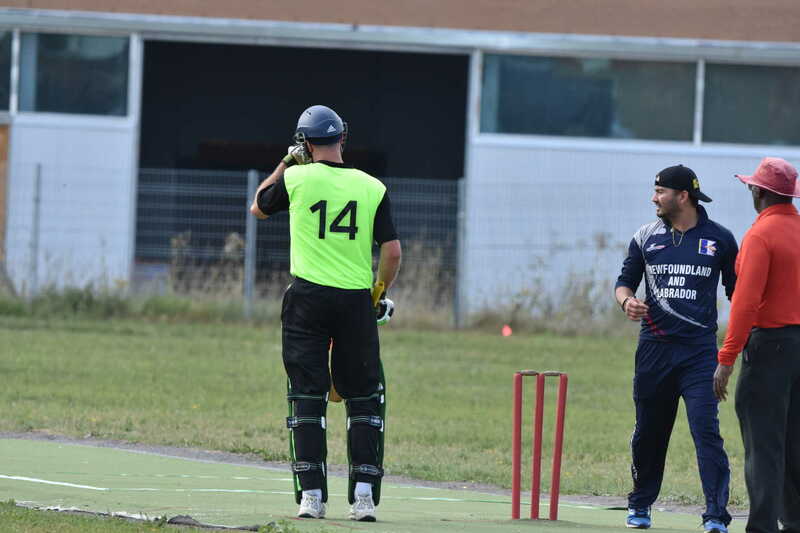 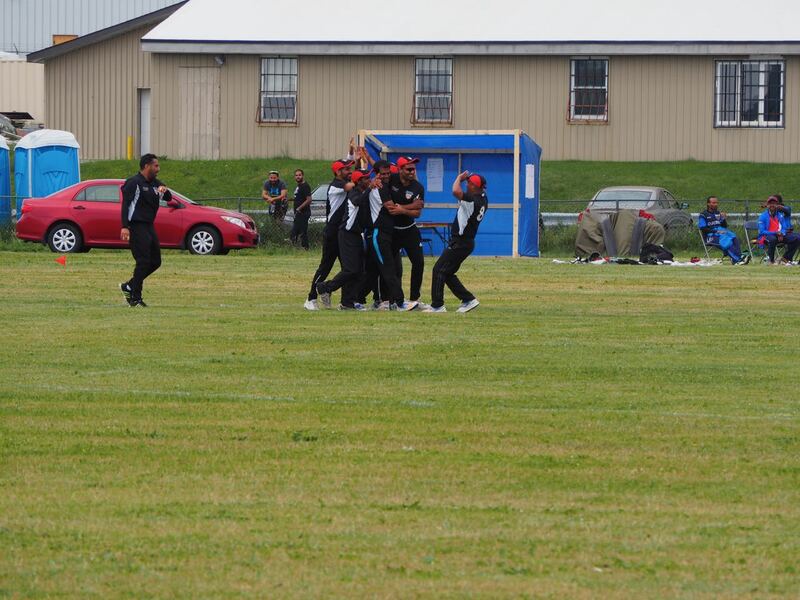 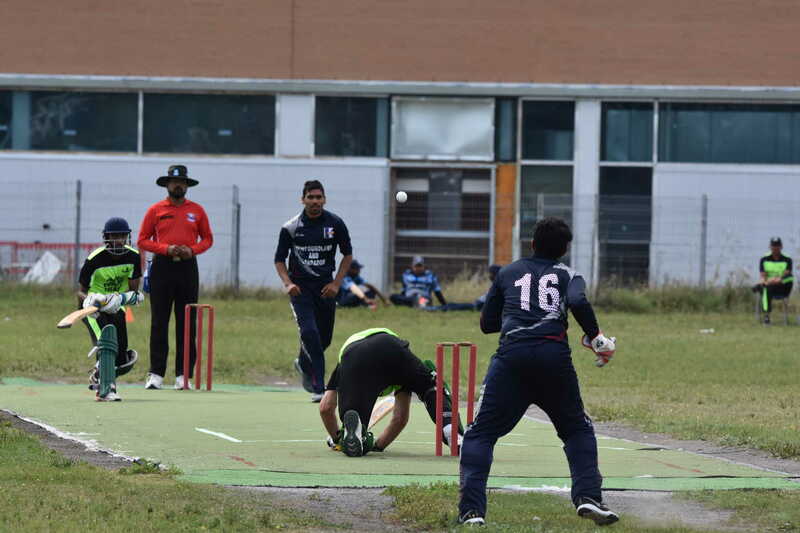 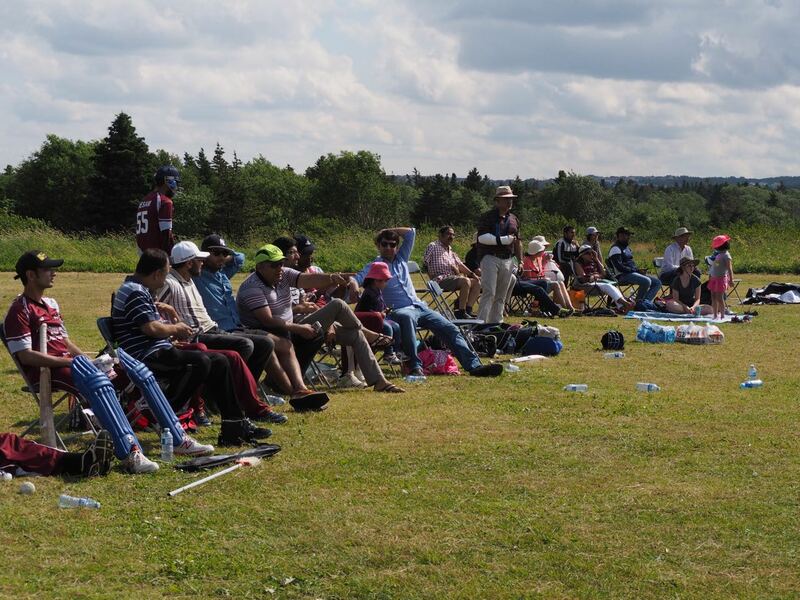 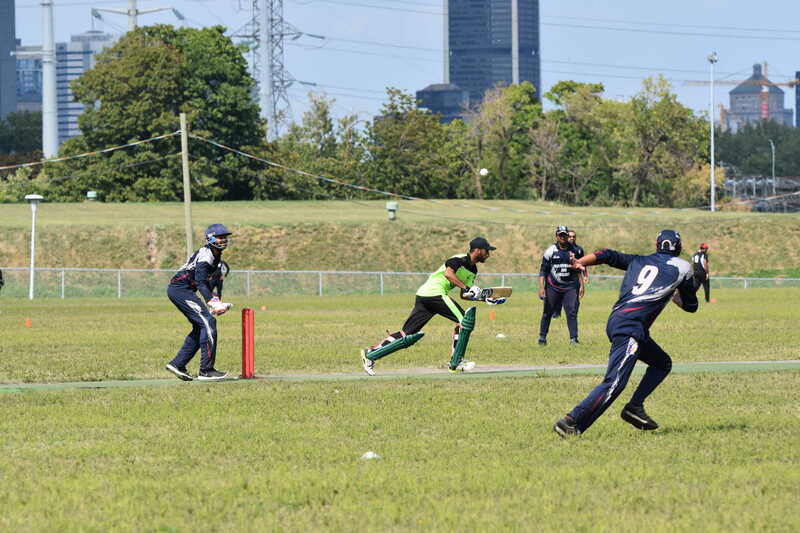 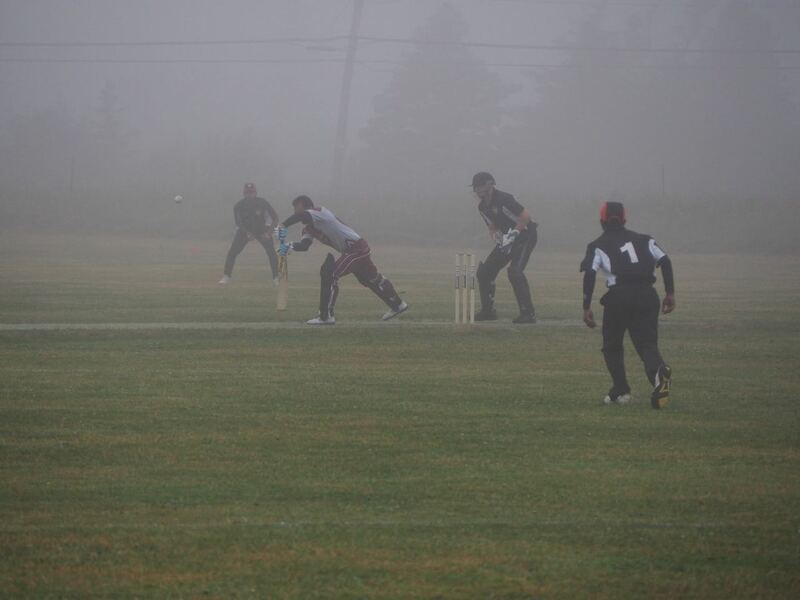 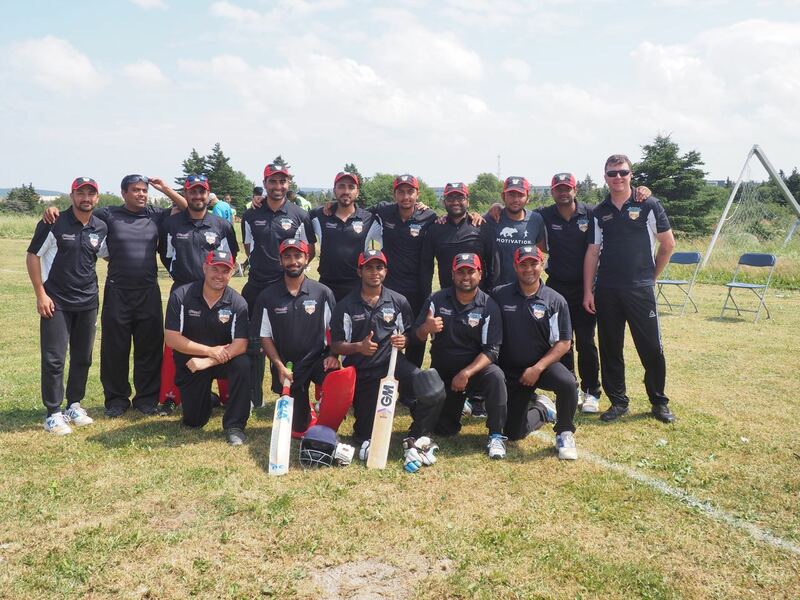 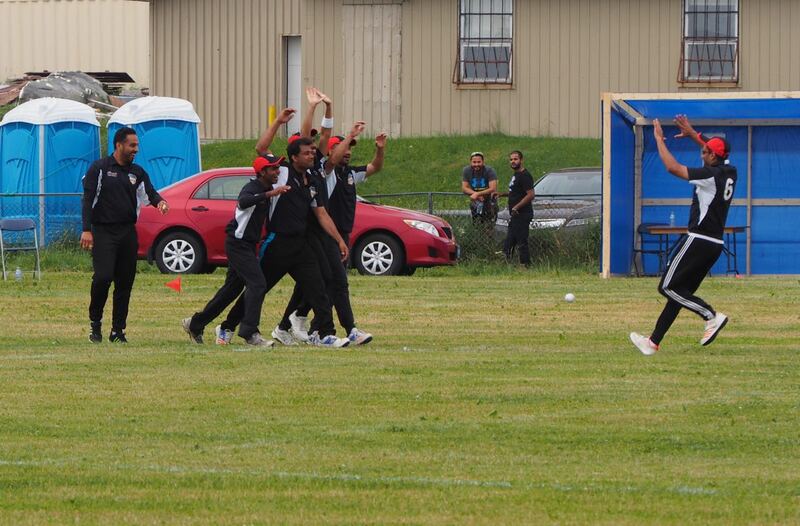 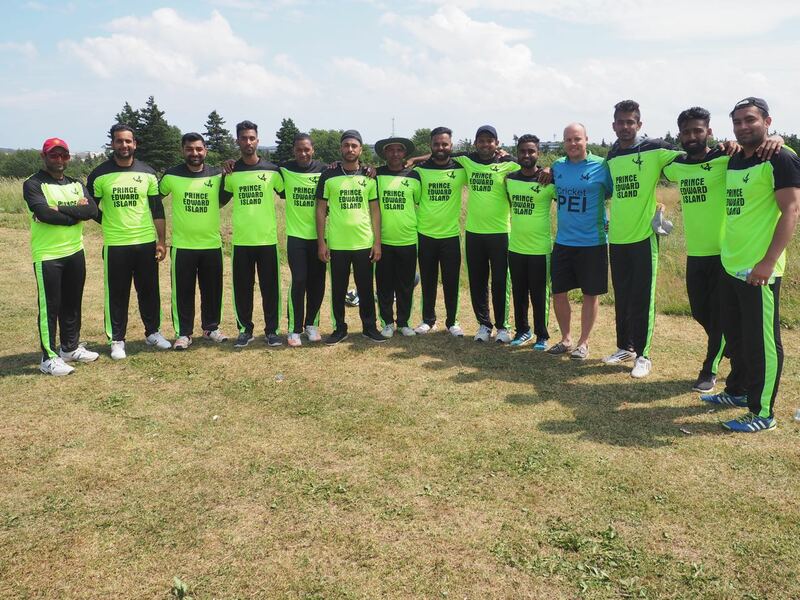 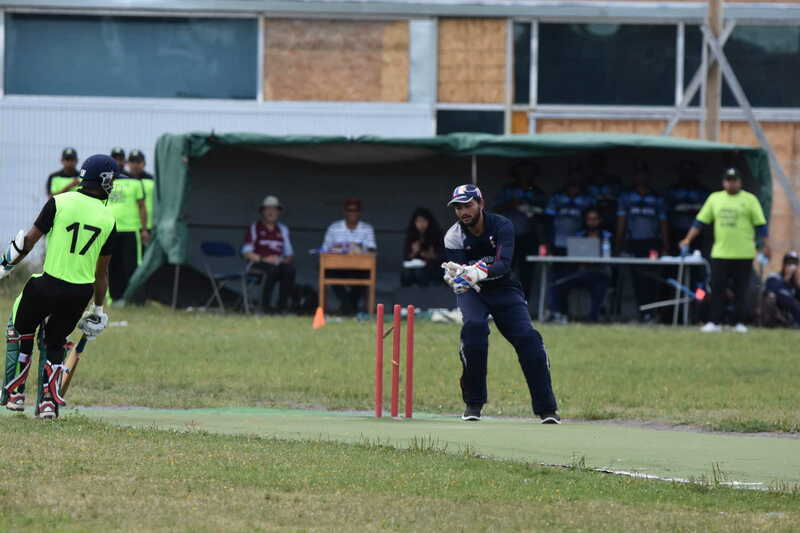 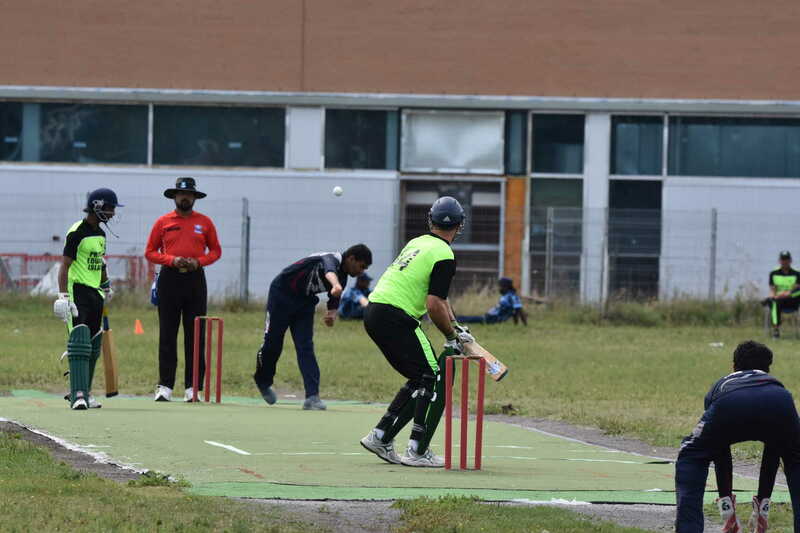 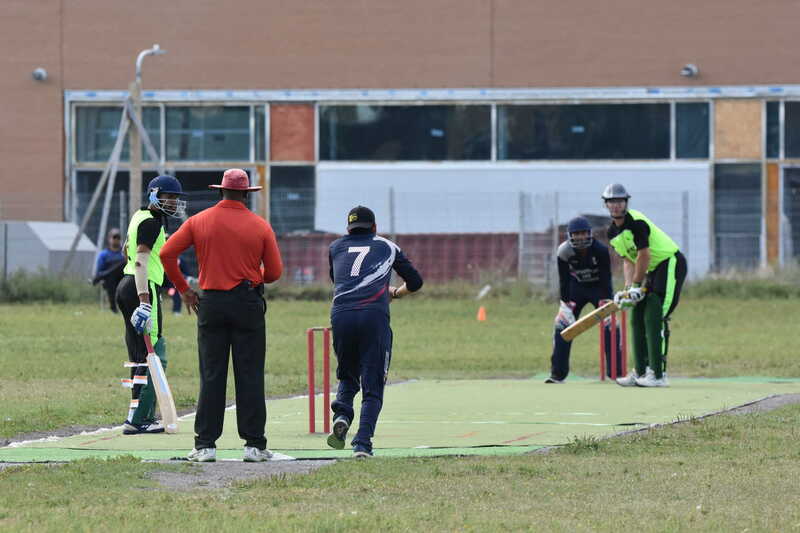 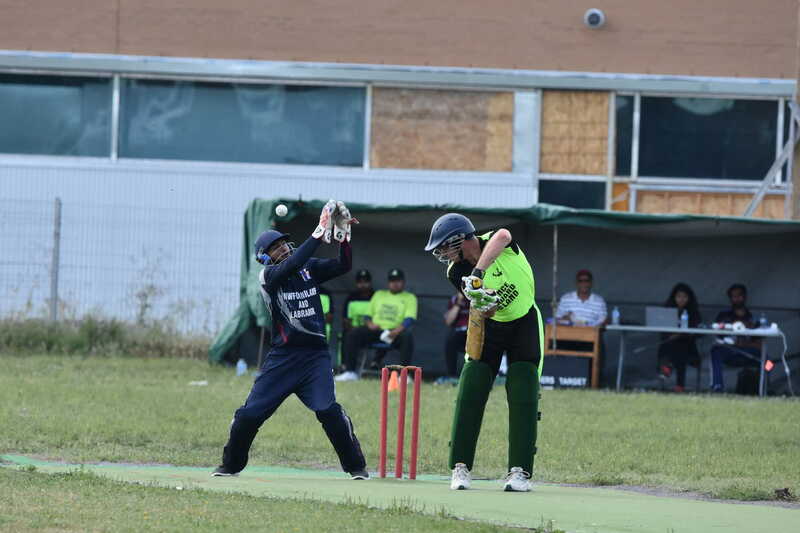 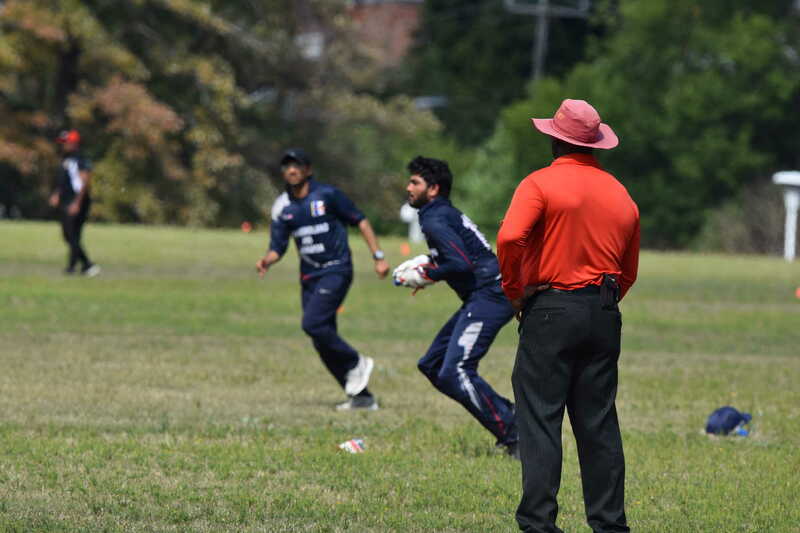 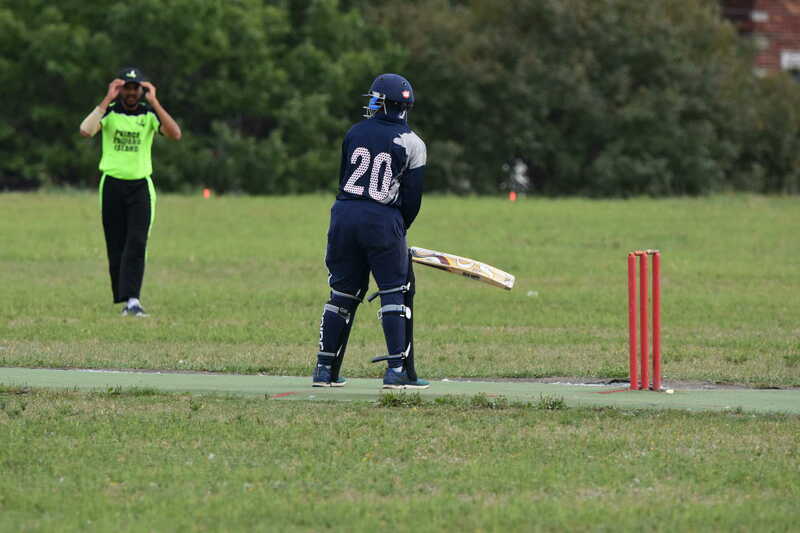 Cricket NL hosted the Eastern Canadian T20 Championships from July 21-23 2017. 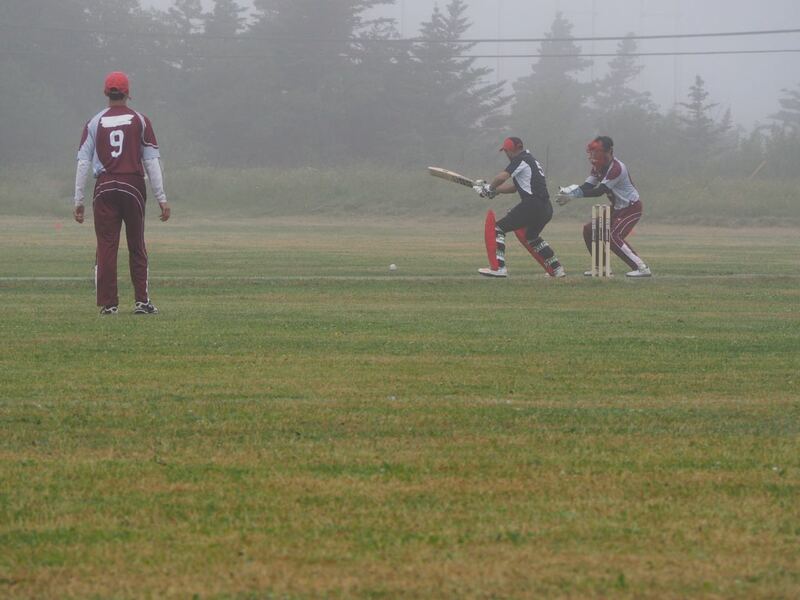 This was, as far are we able to determine, the first inter-provincial tournament ever to be held in Newfoundland. 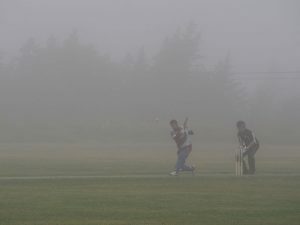 In 1898 the Wanderers team of Halifax sent a side to play two matches against St. John’s, but no true inter-provincial games are known to have taken place. 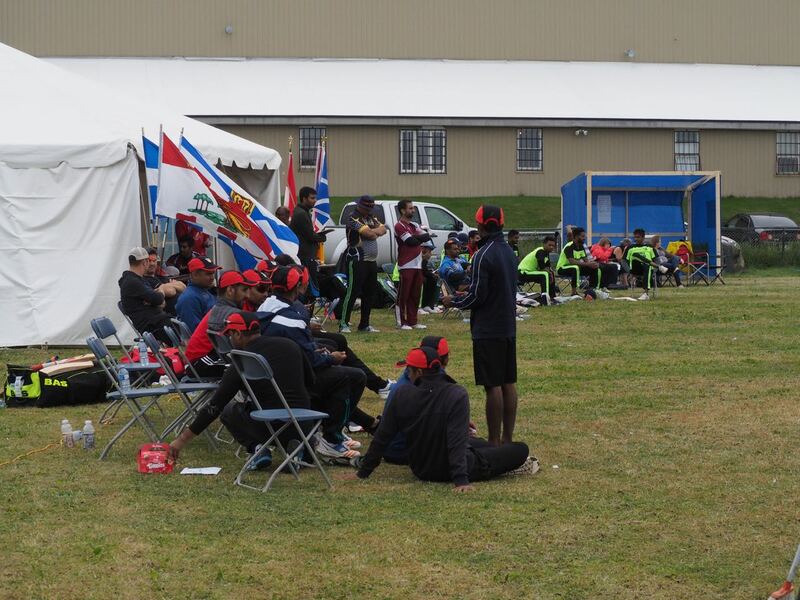 It was the seventh year the tournament has taken place. 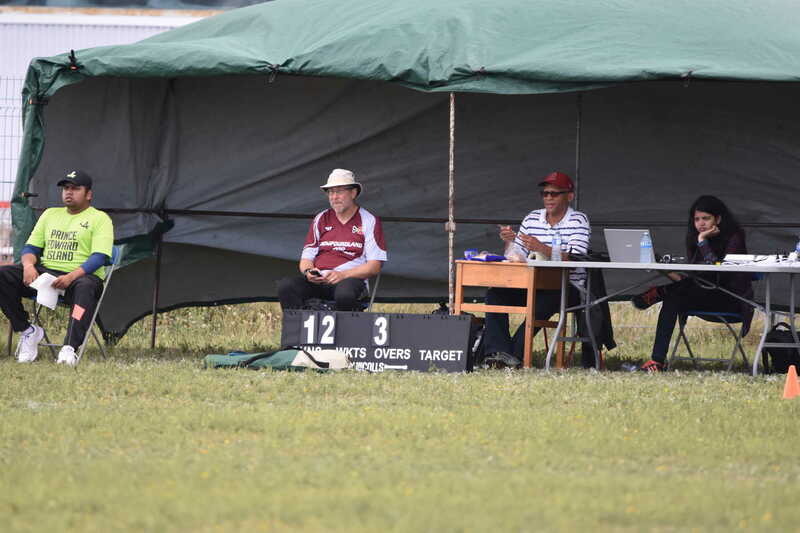 The event was covered with live scoring, video and photographs. 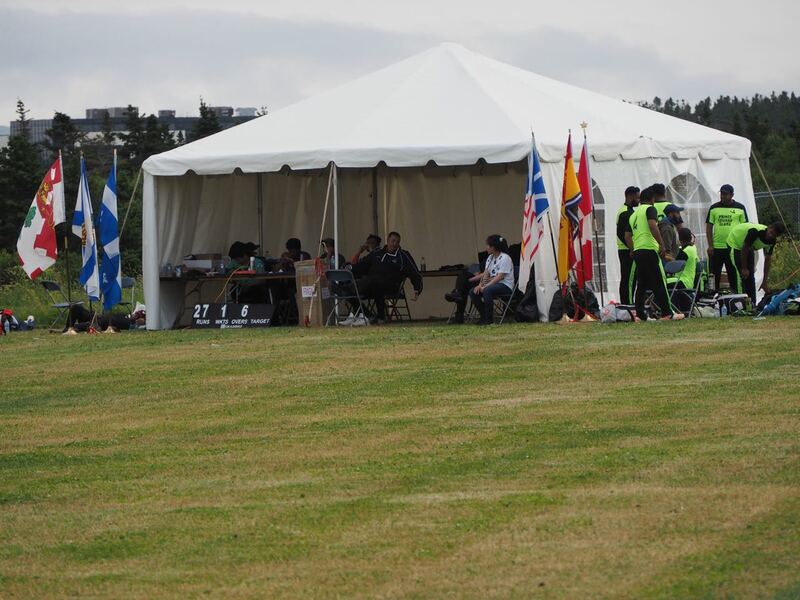 This page is designed to act as a permanent archive of this historic event, and also contains detailed statistics. 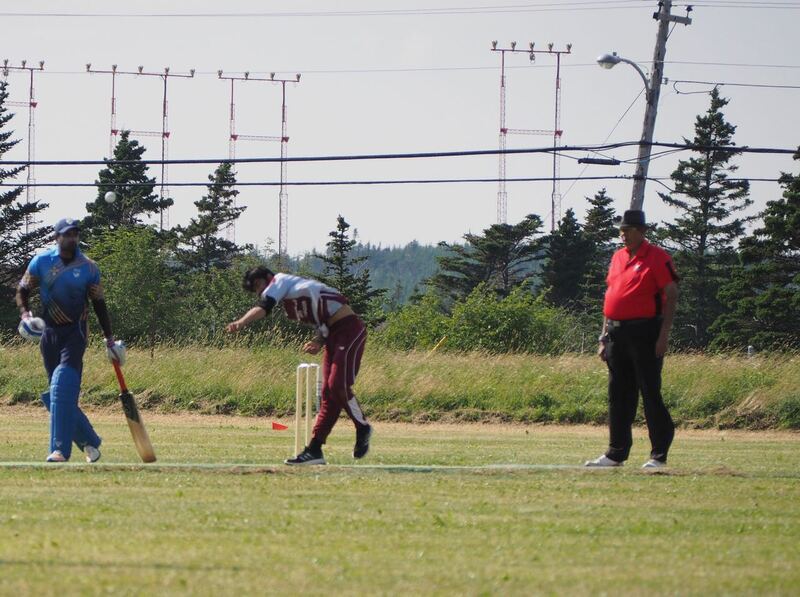 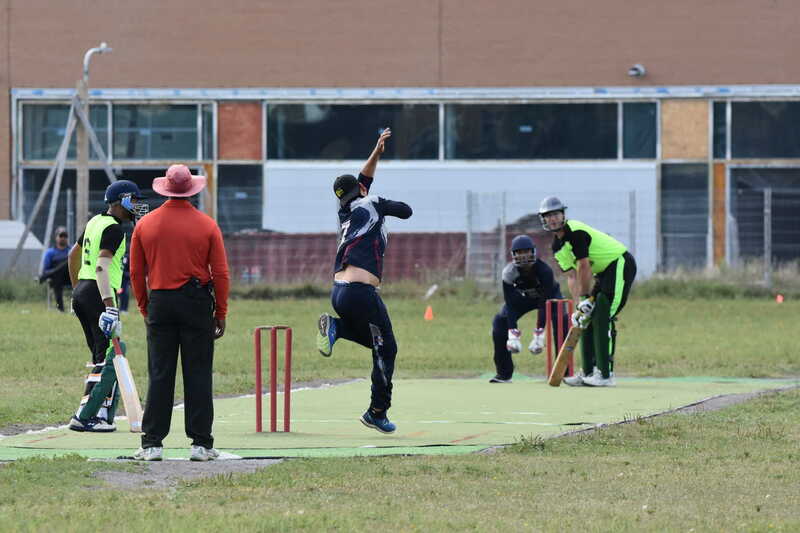 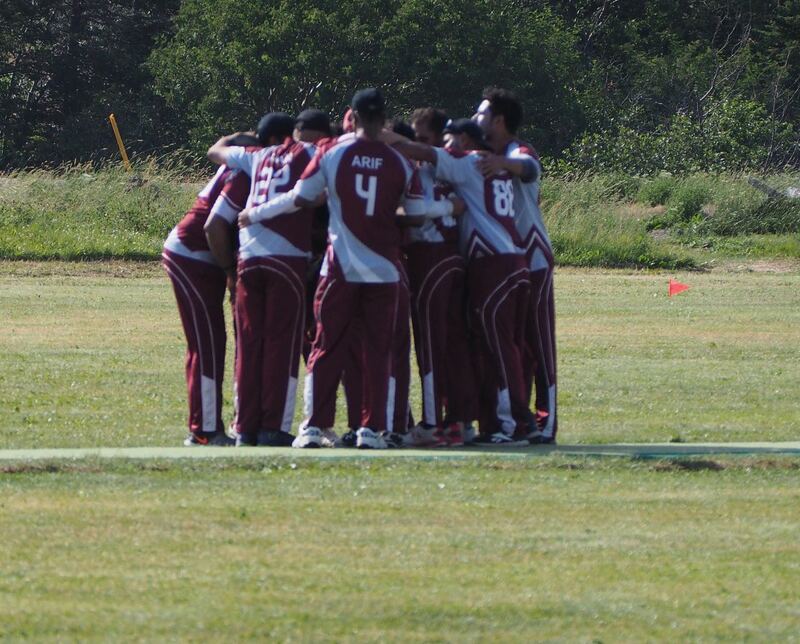 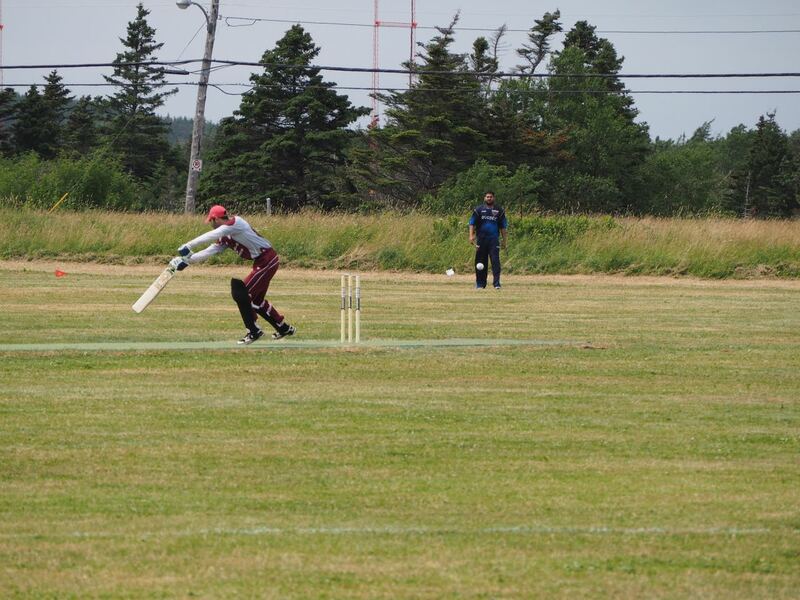 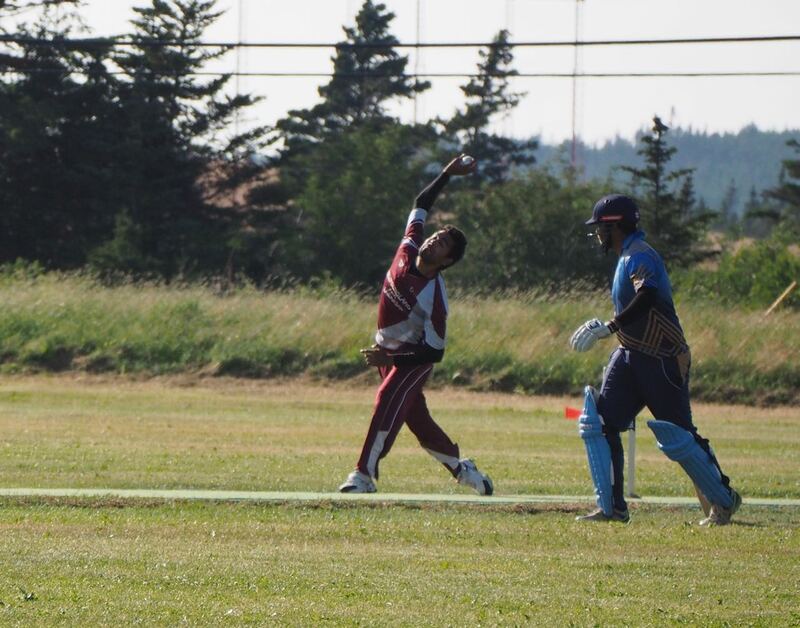 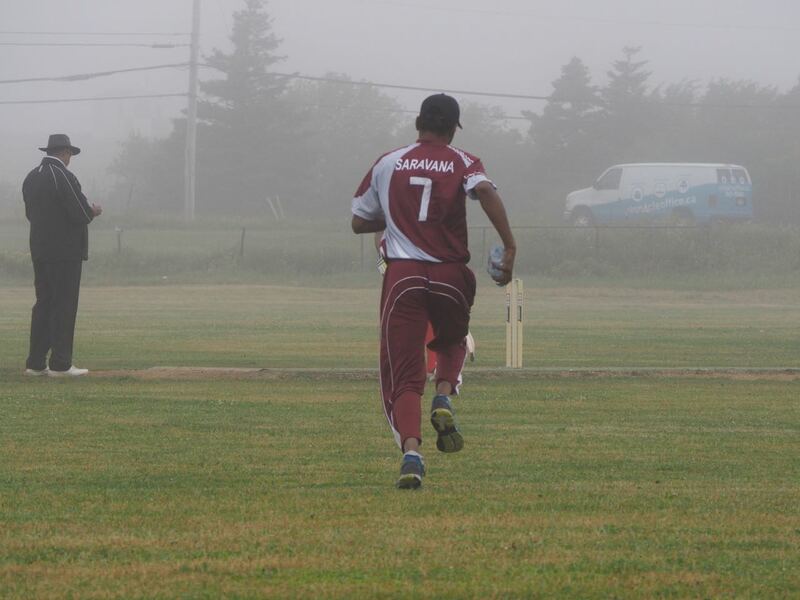 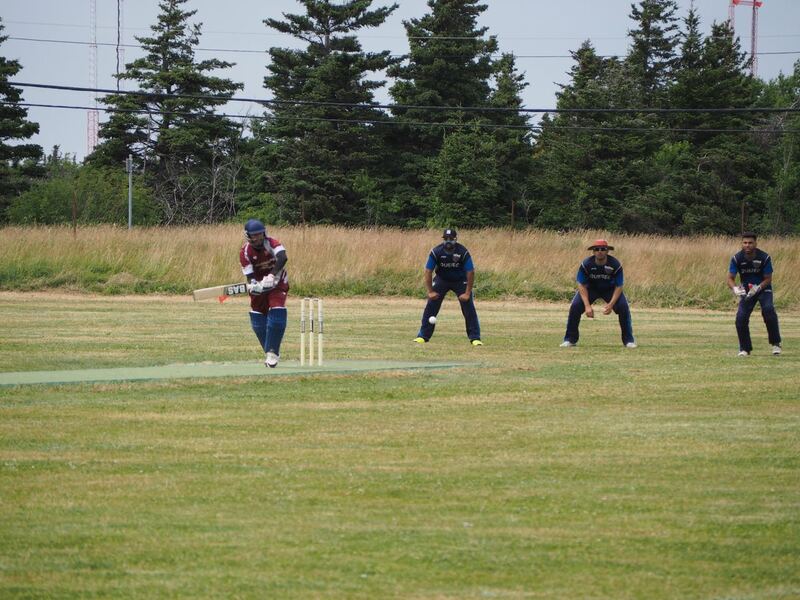 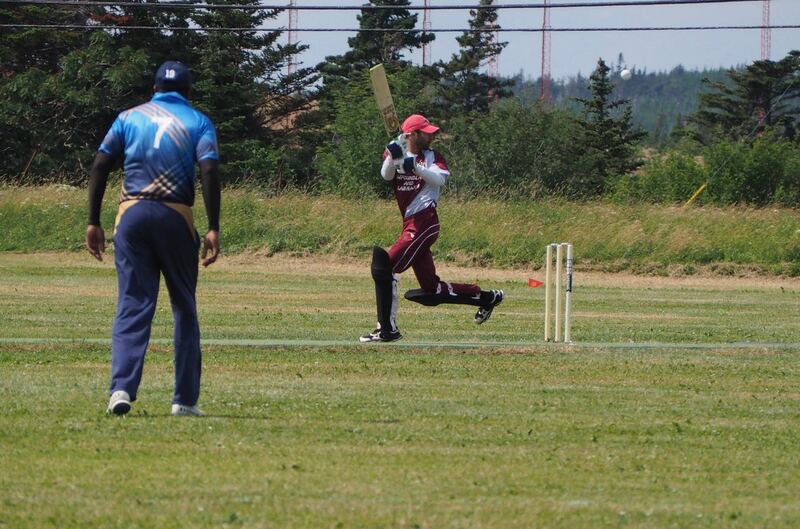 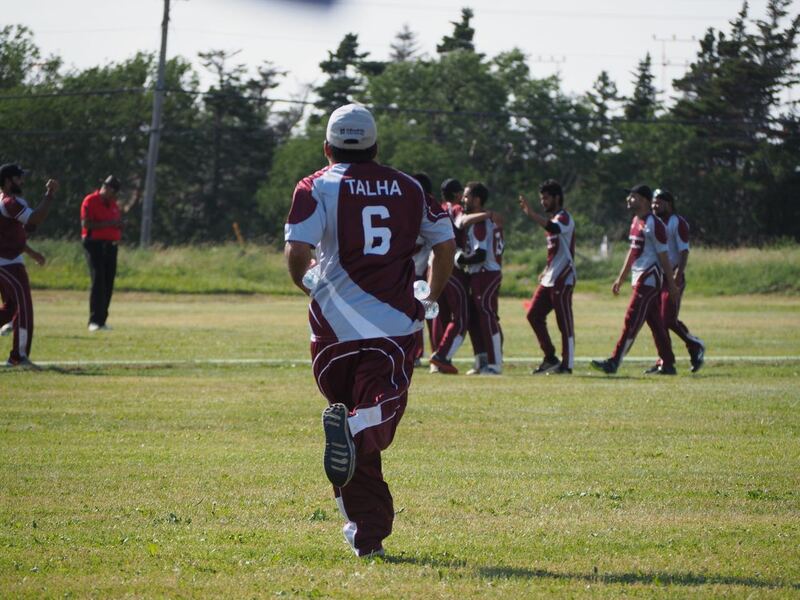 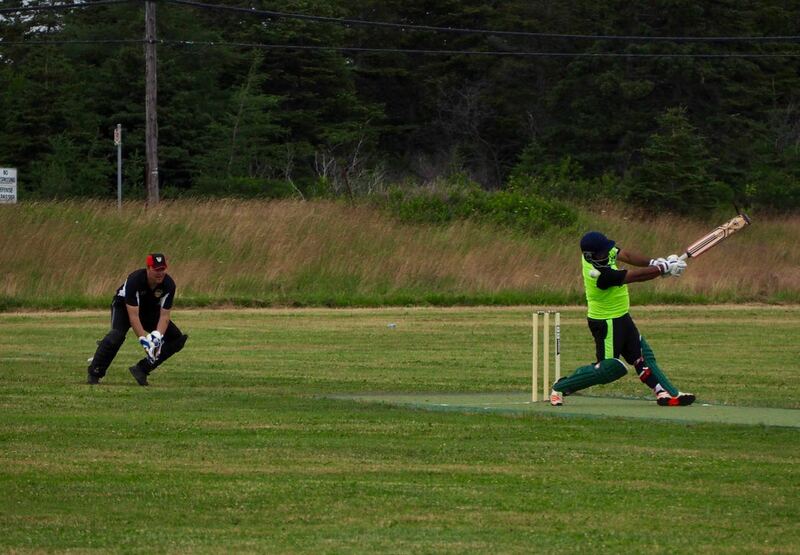 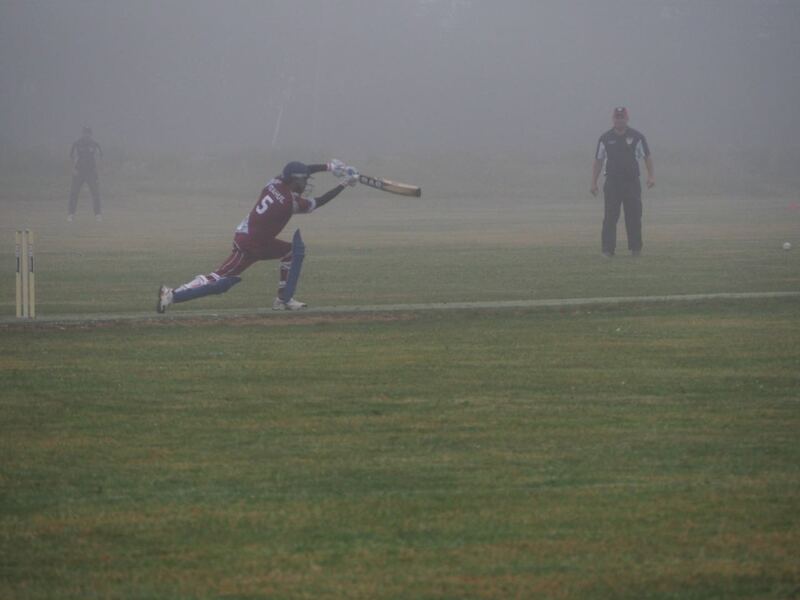 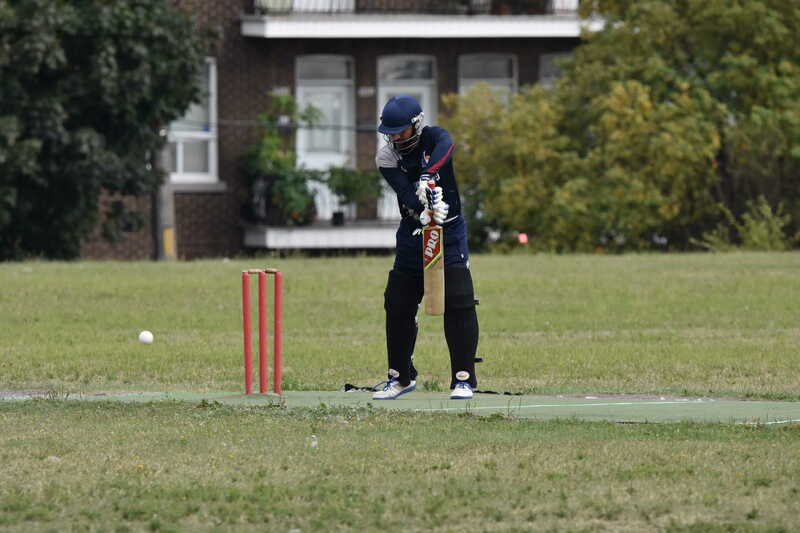 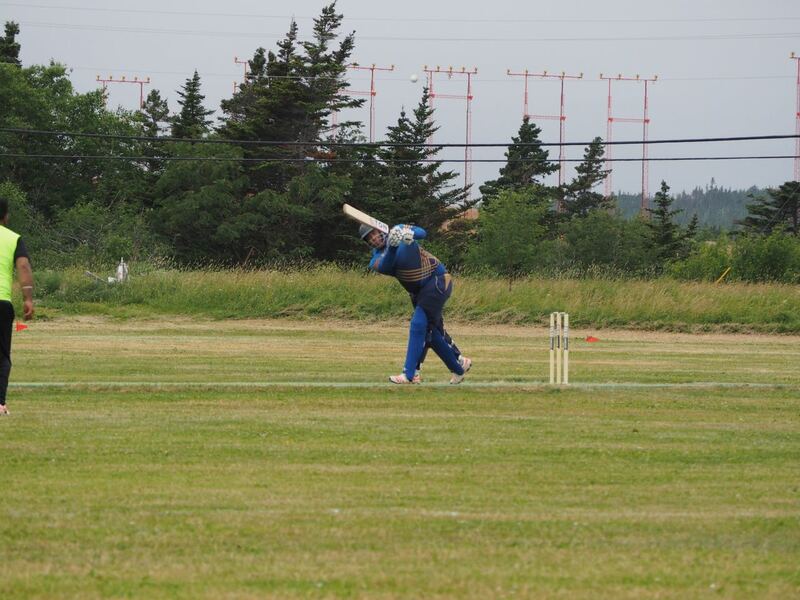 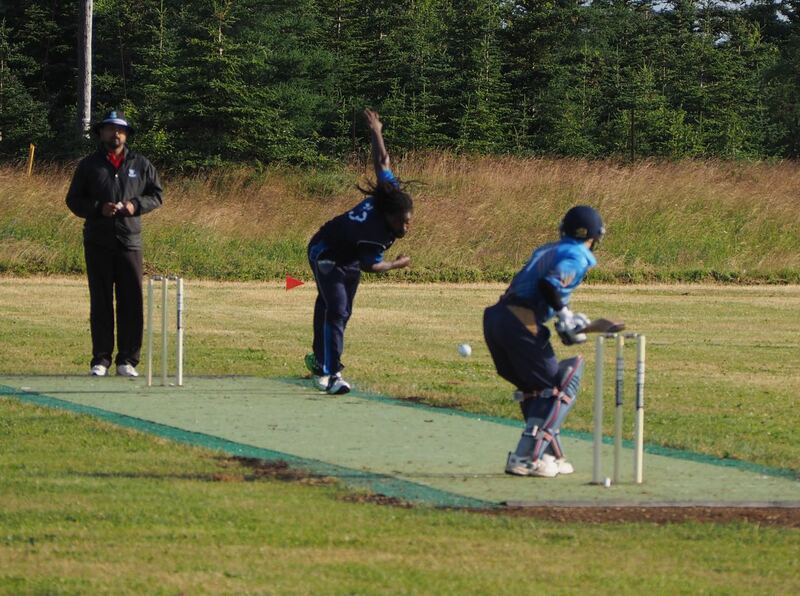 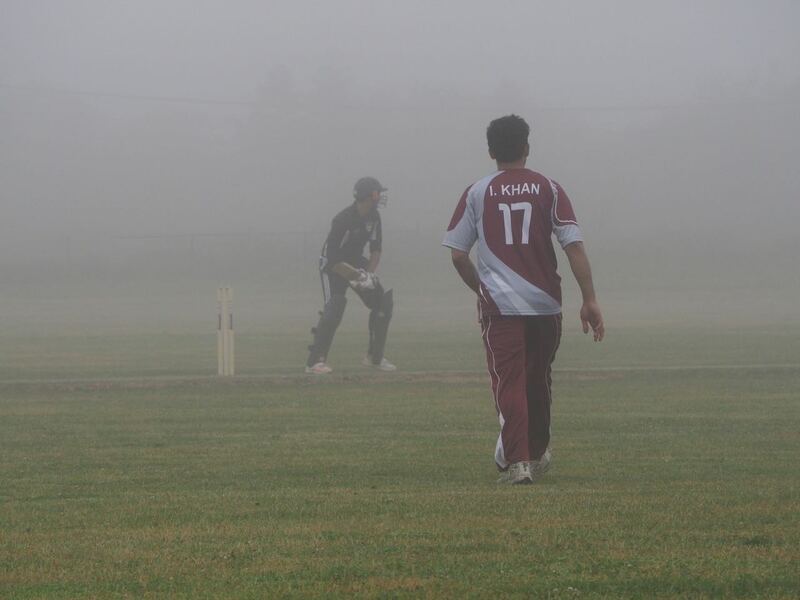 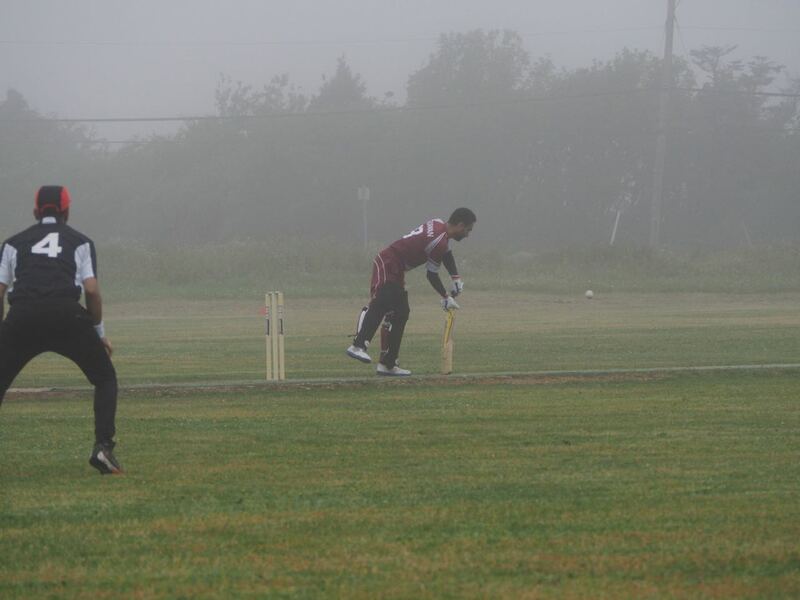 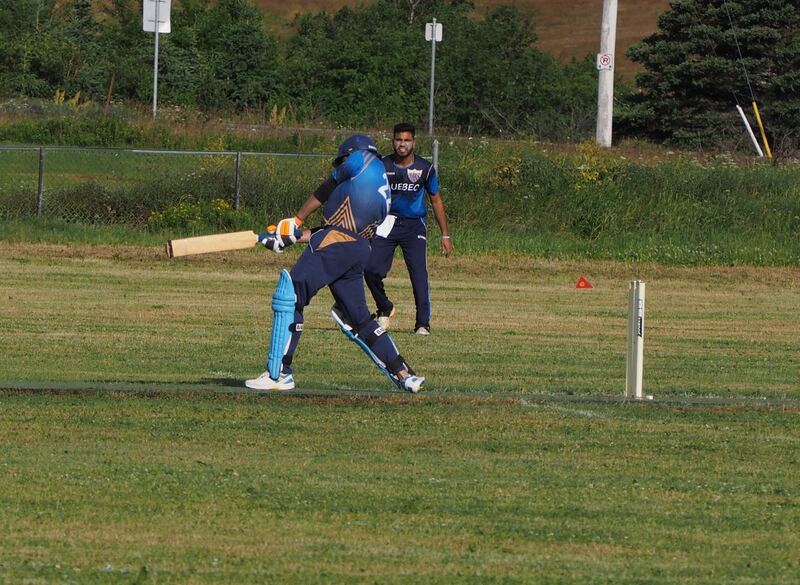 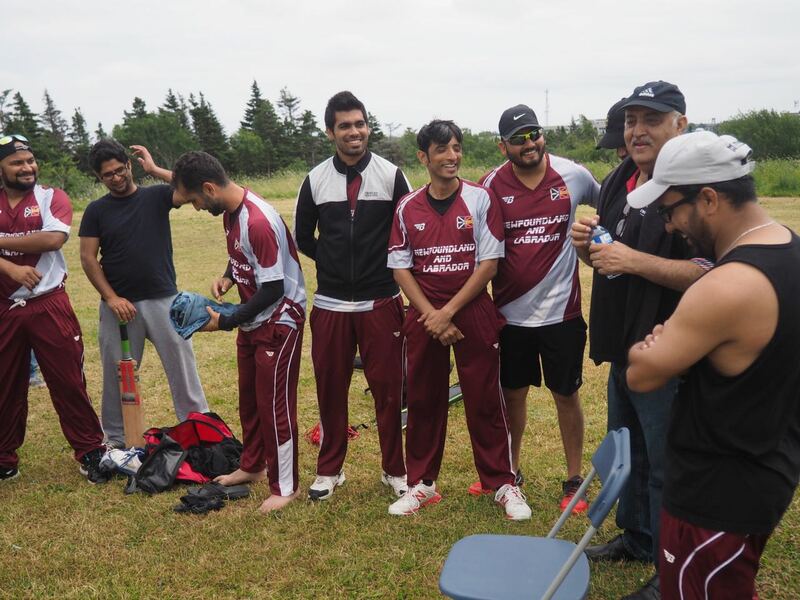 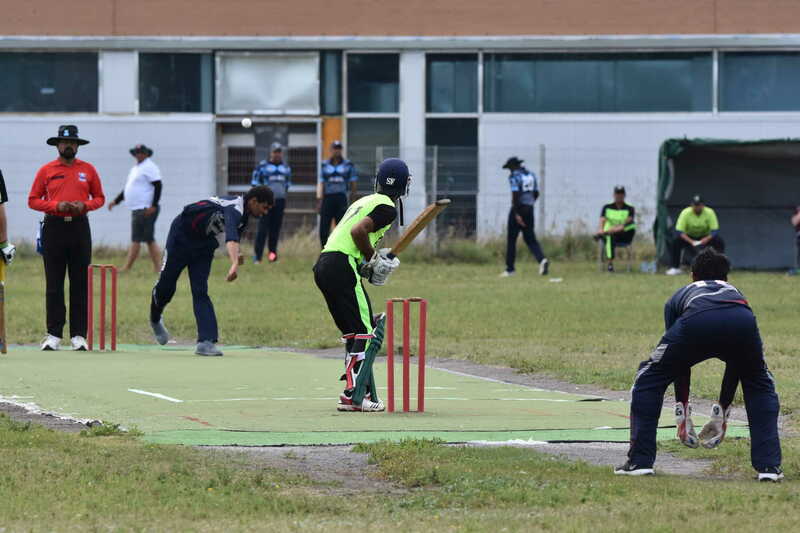 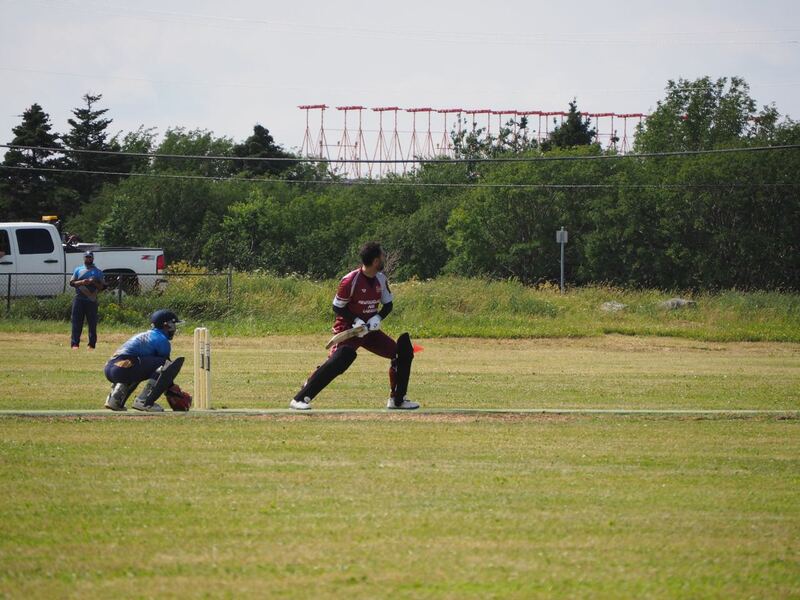 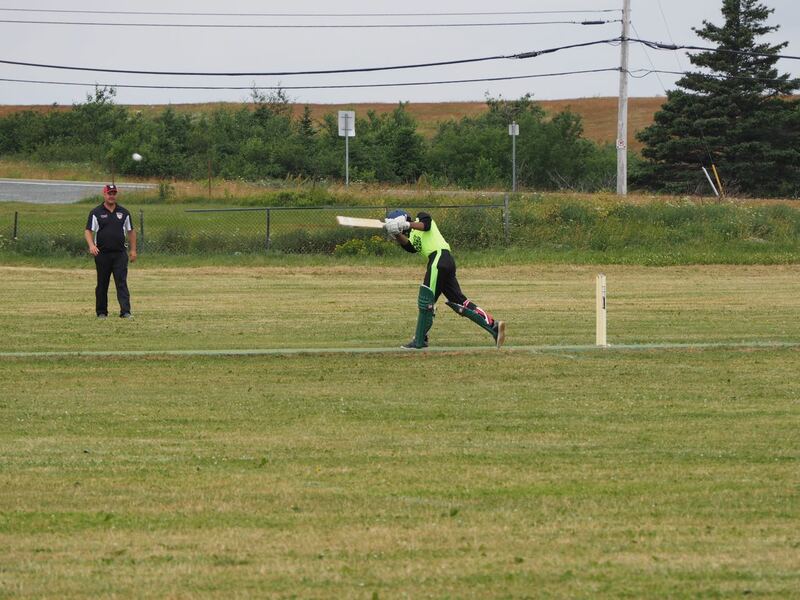 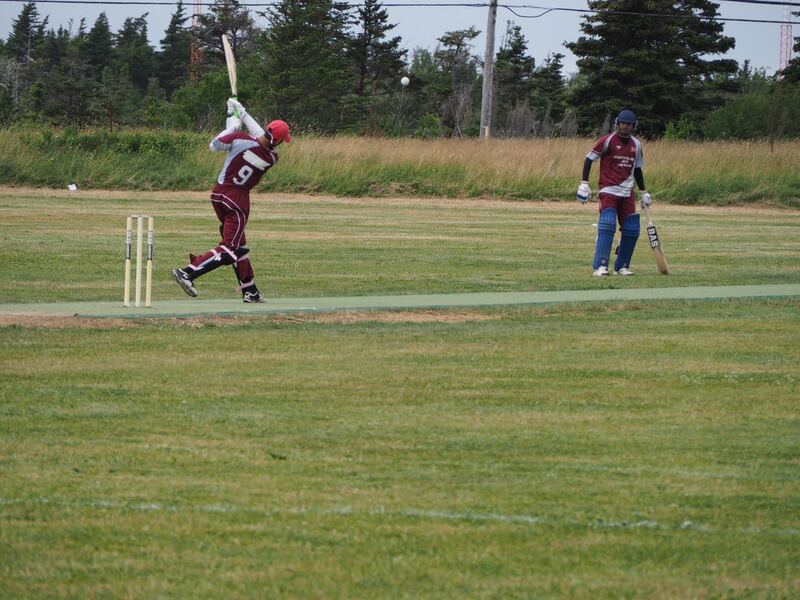 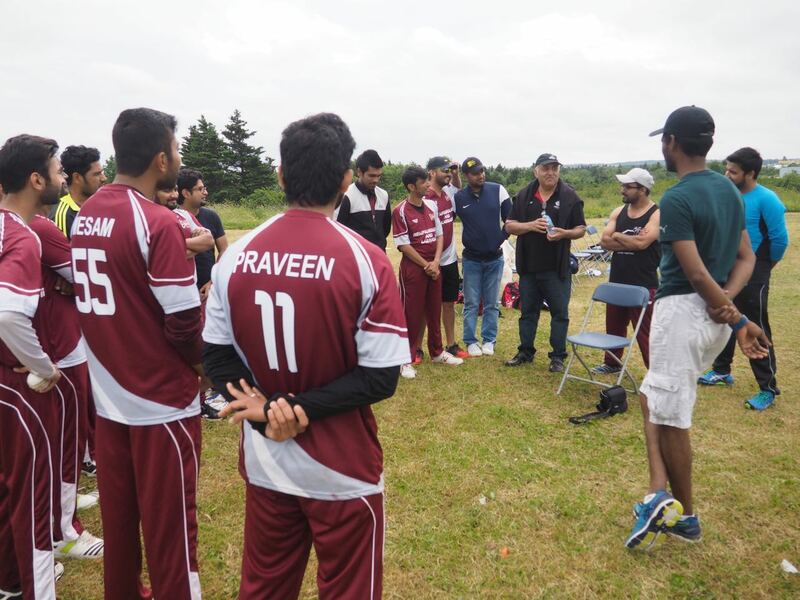 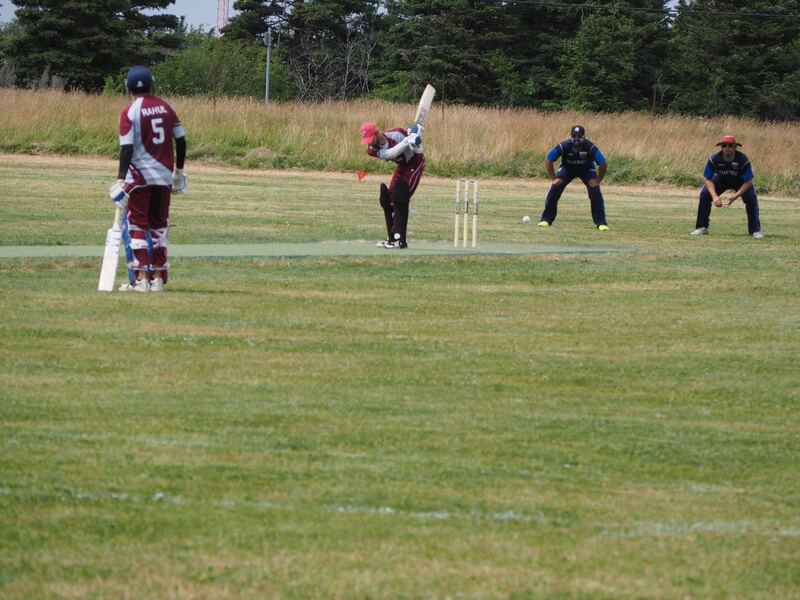 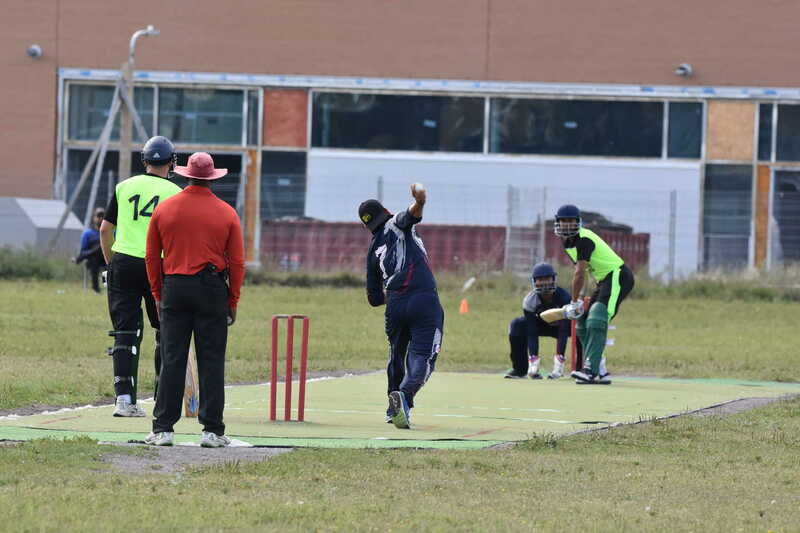 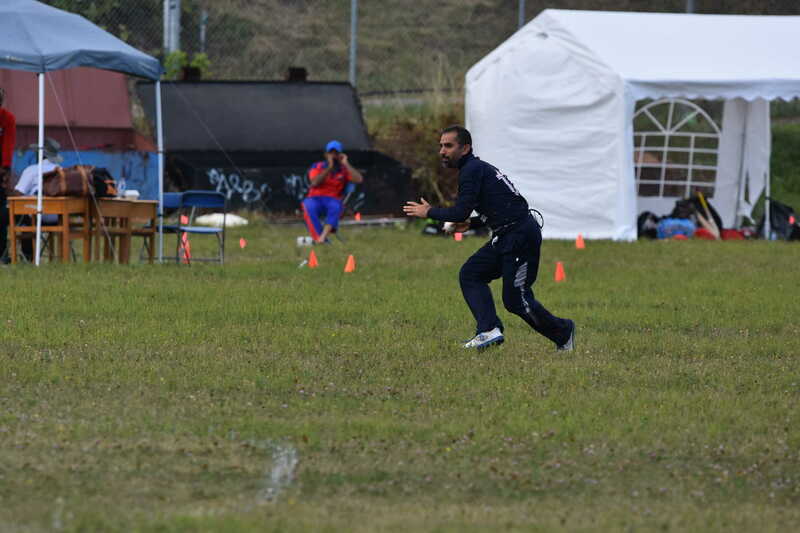 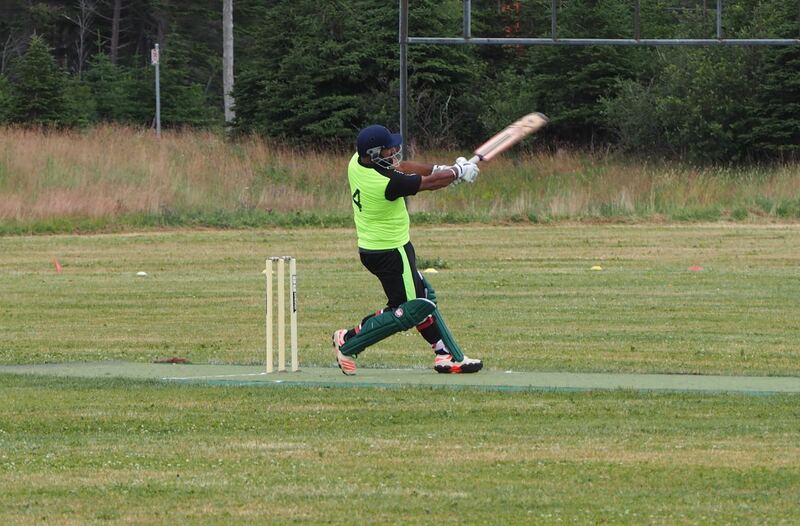 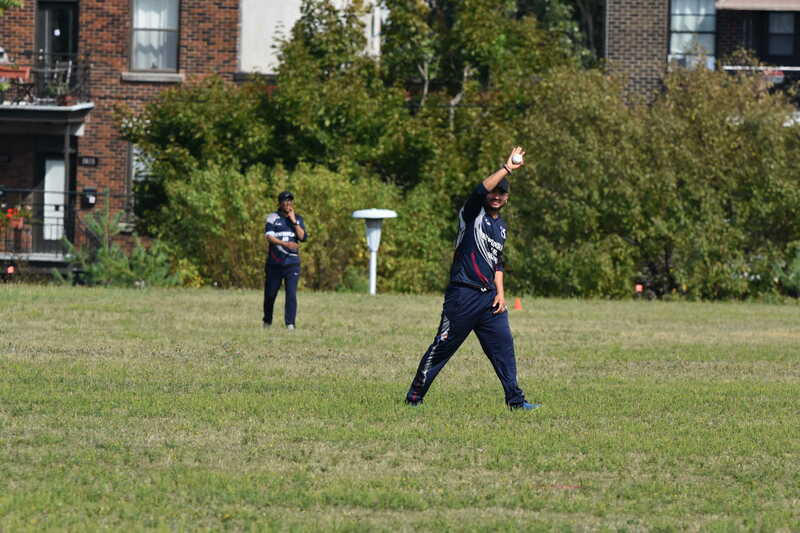 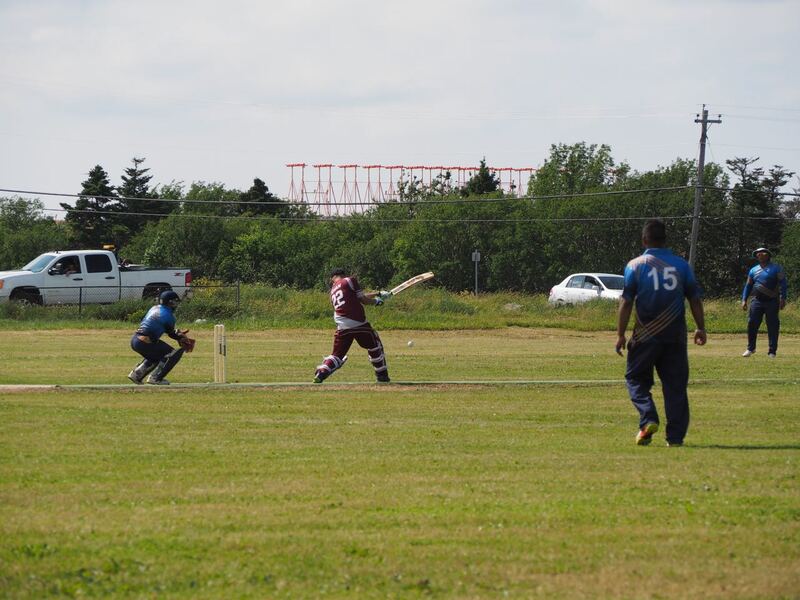 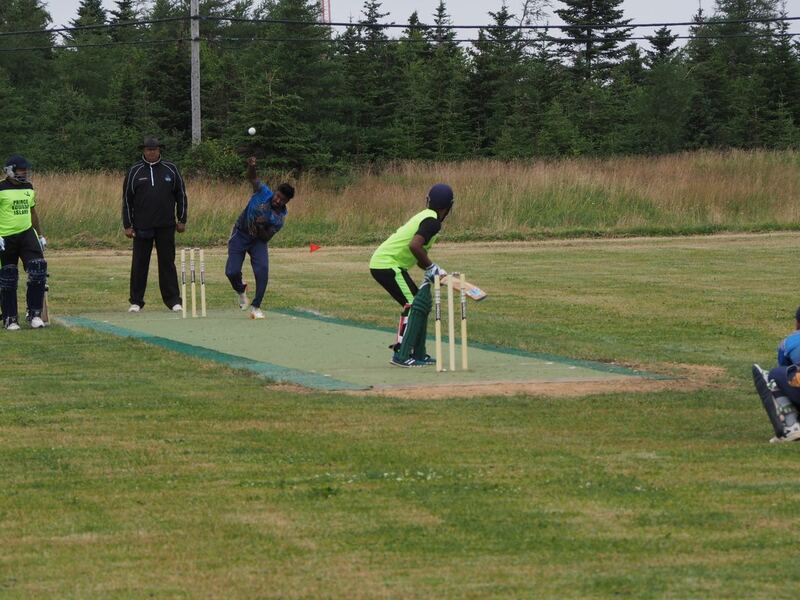 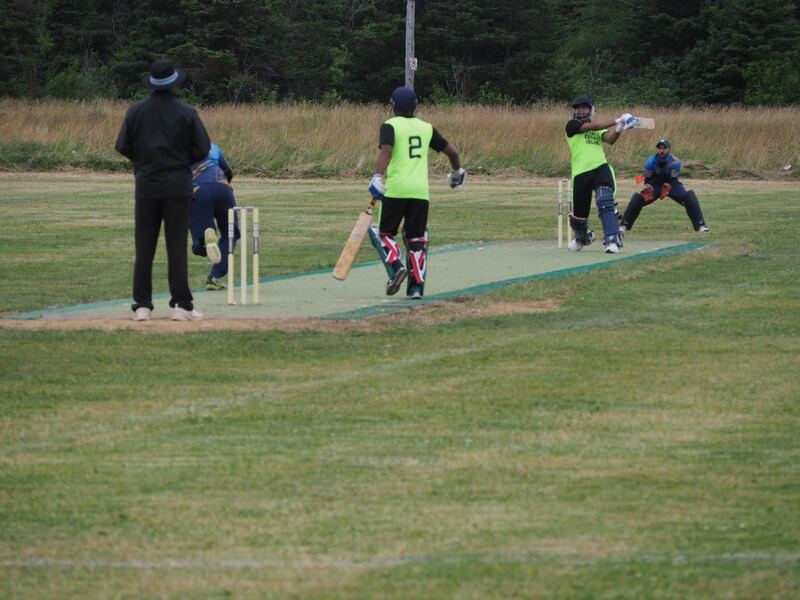 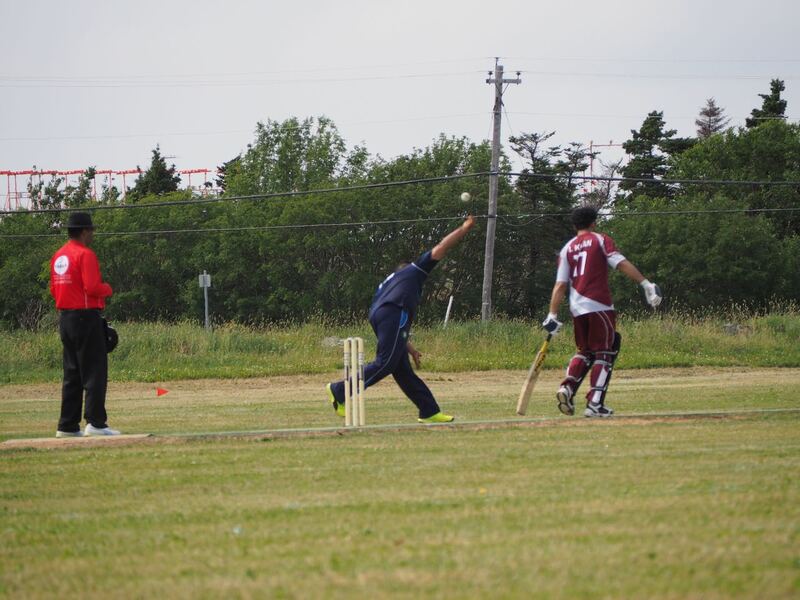 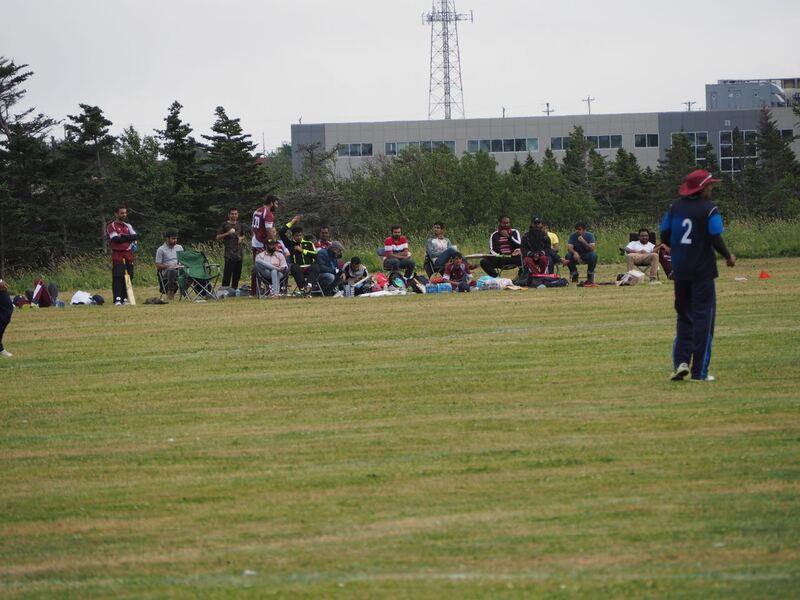 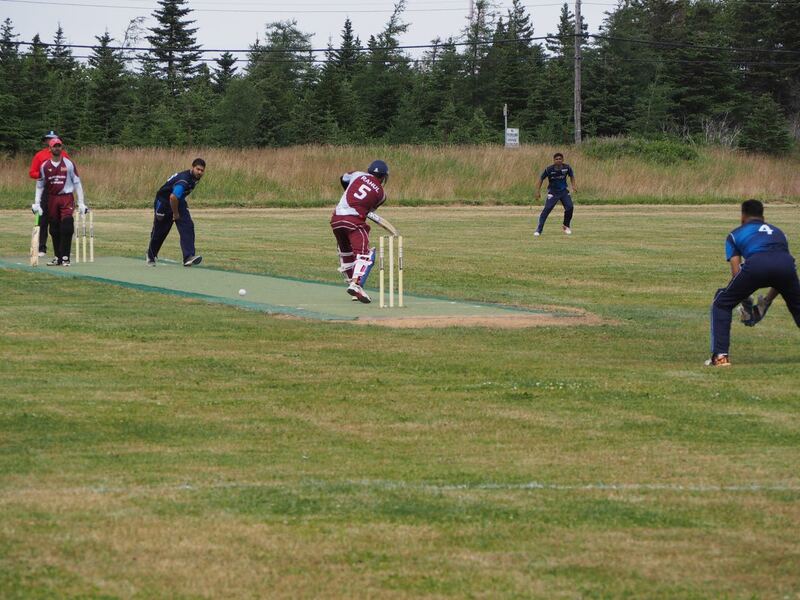 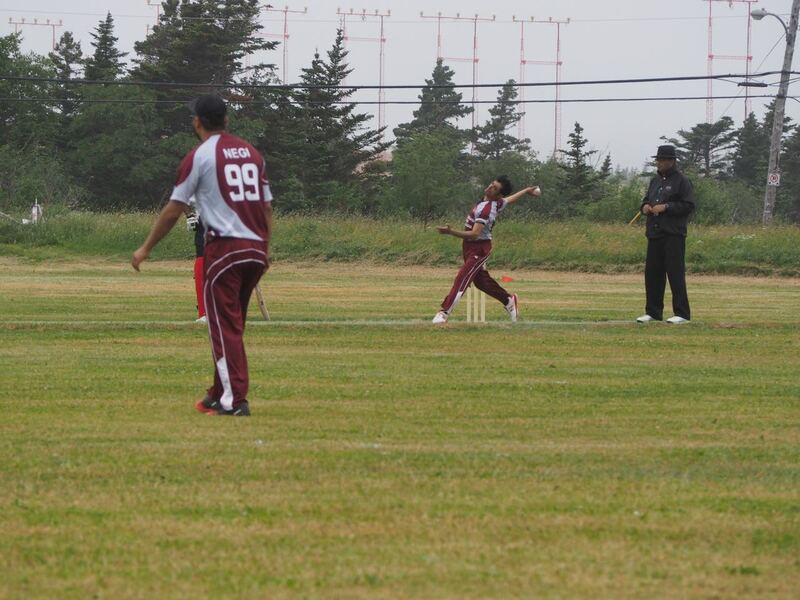 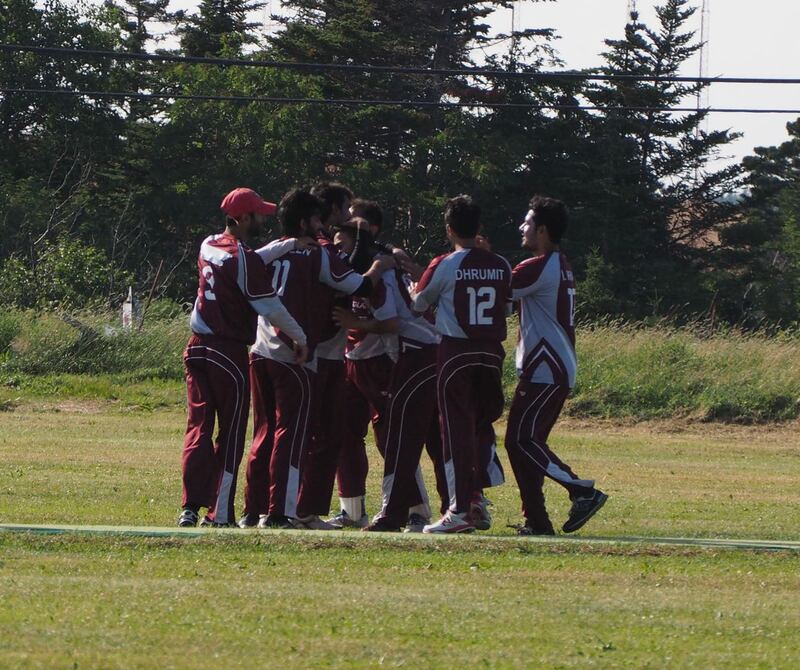 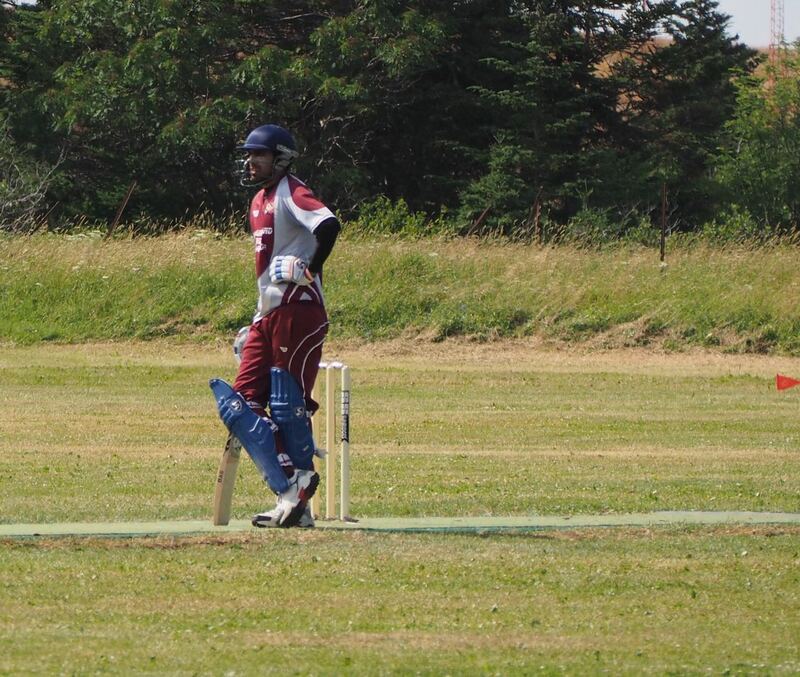 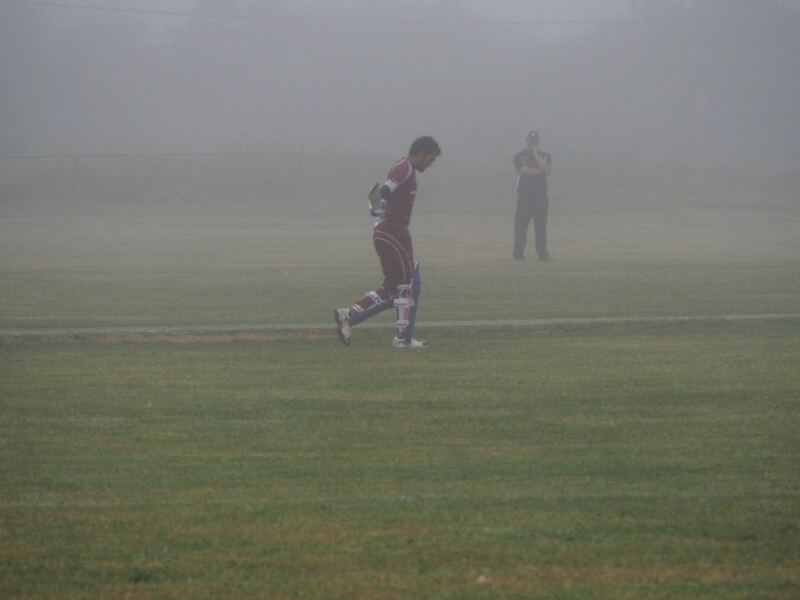 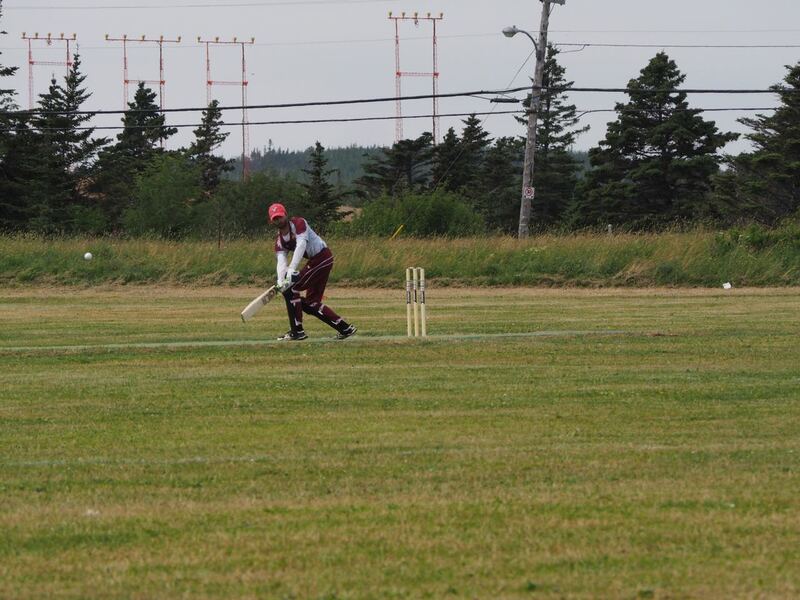 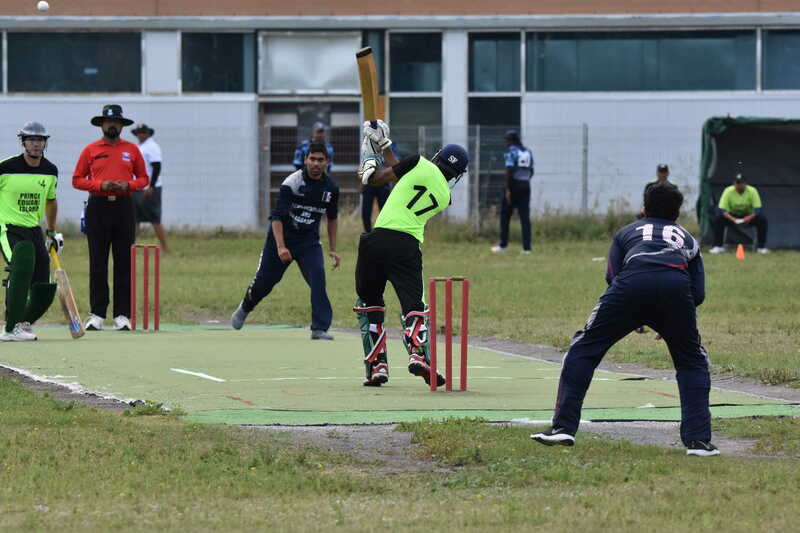 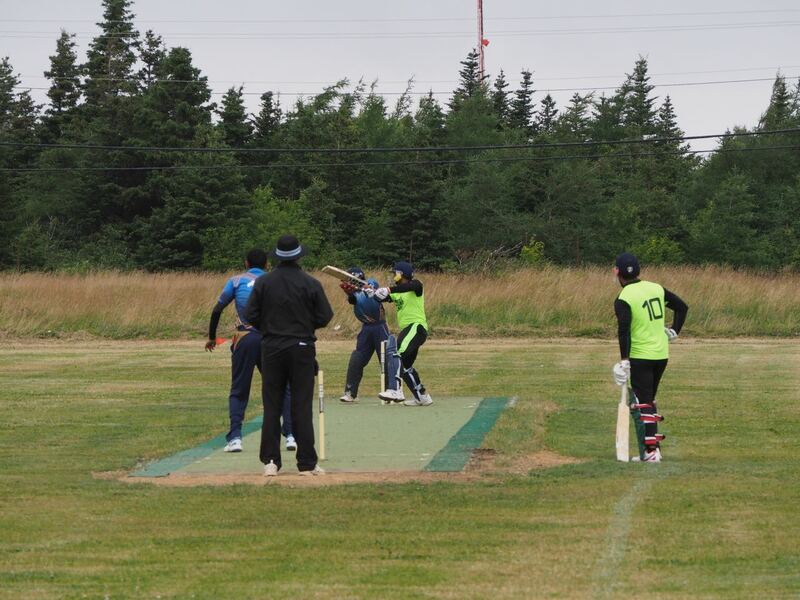 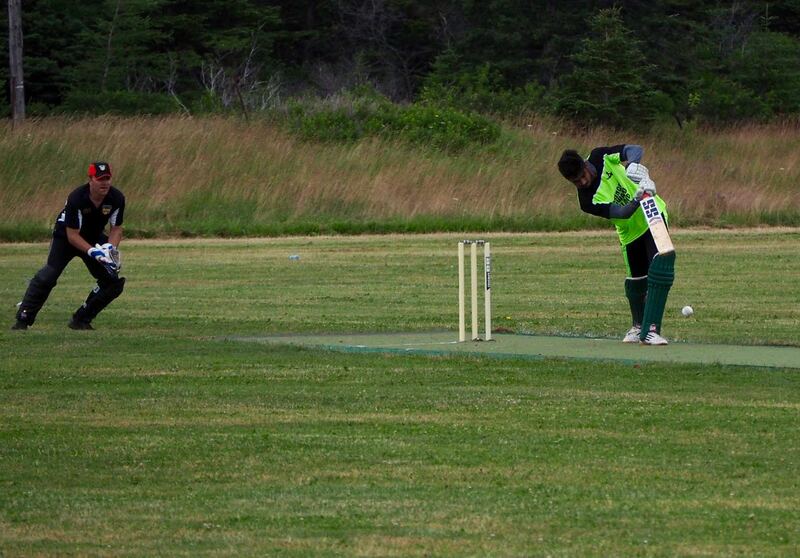 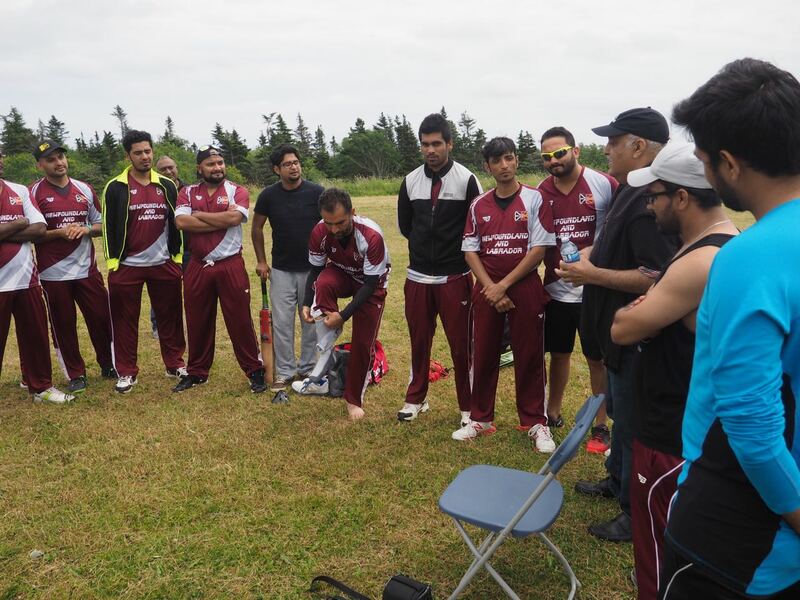 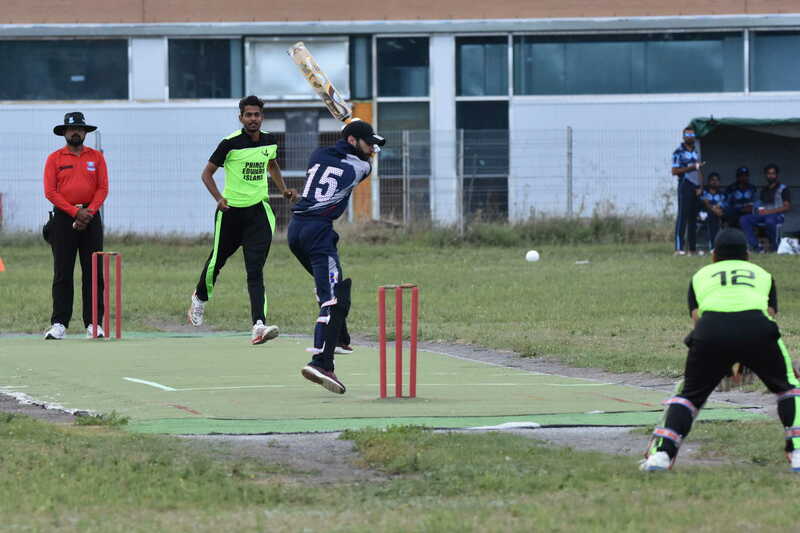 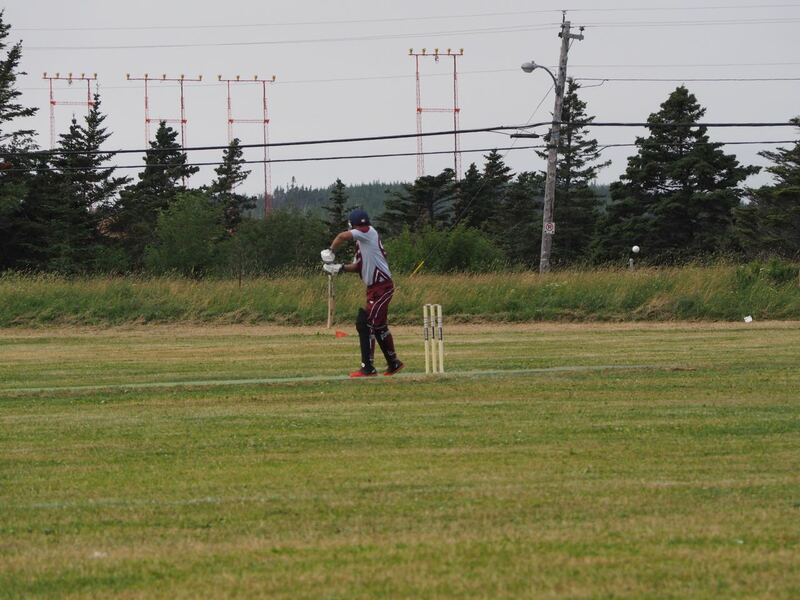 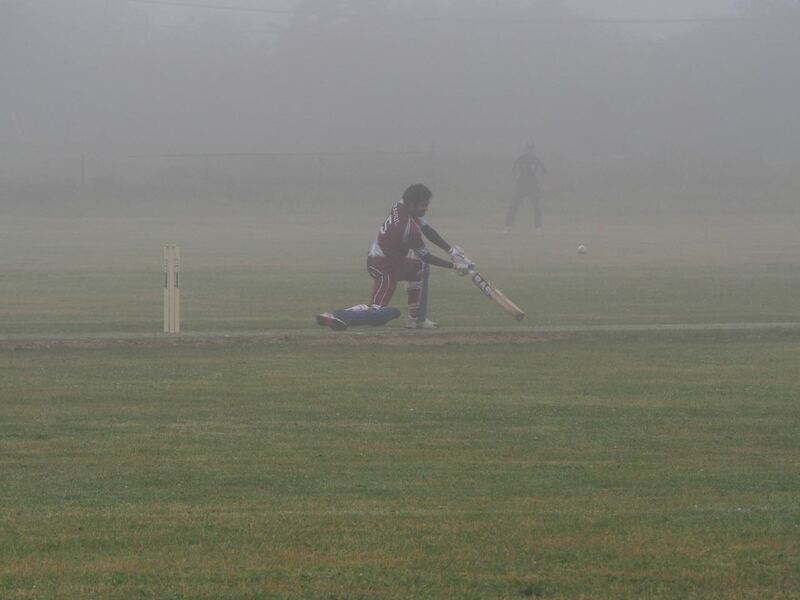 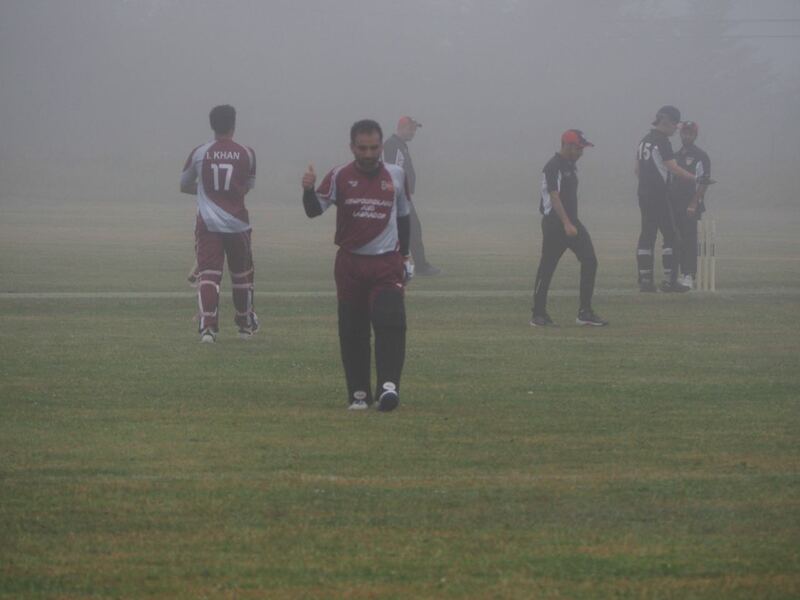 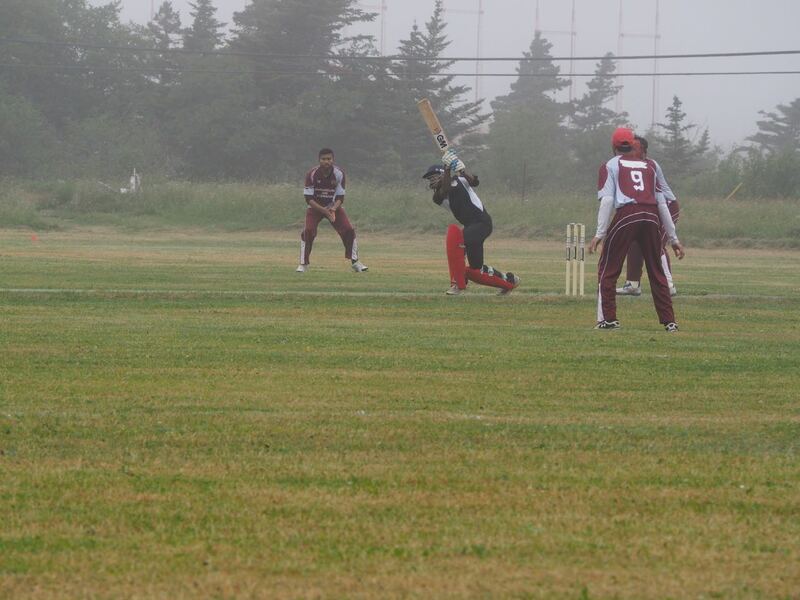 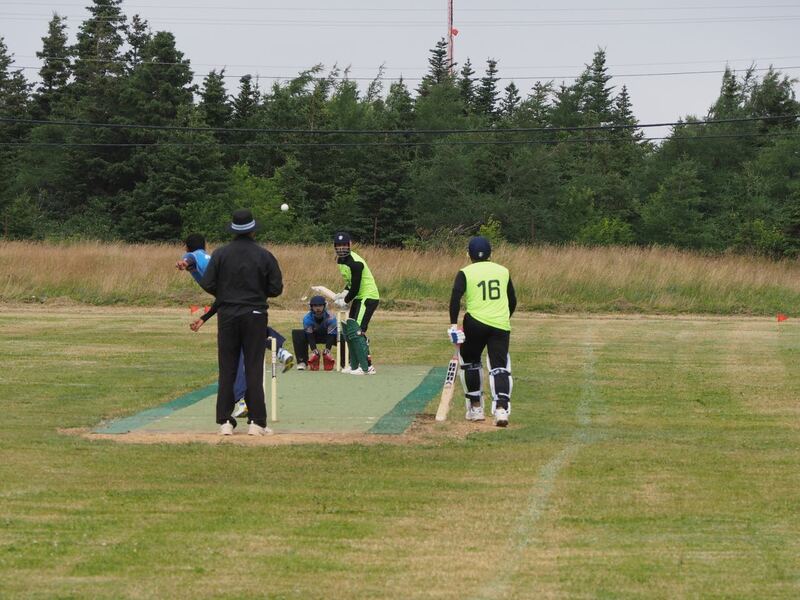 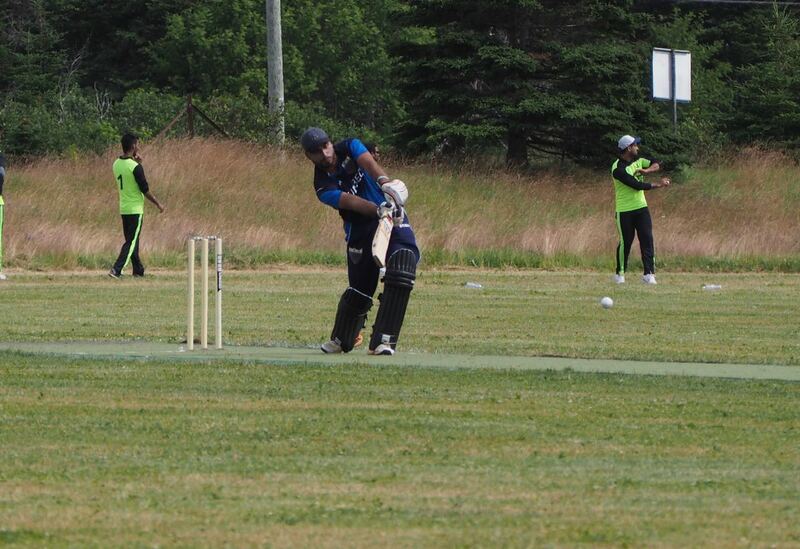 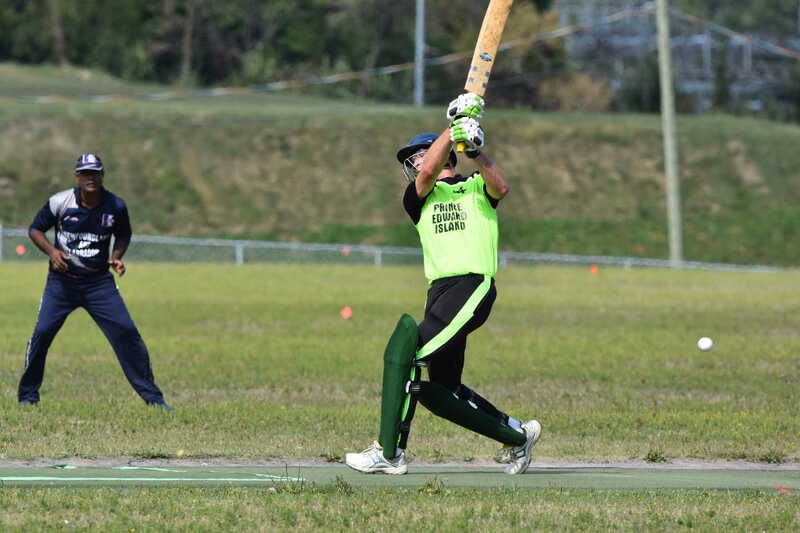 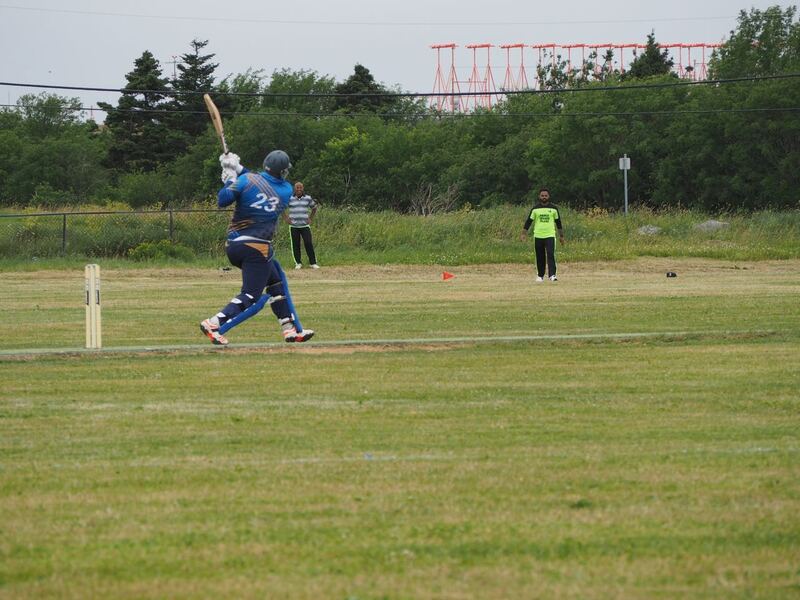 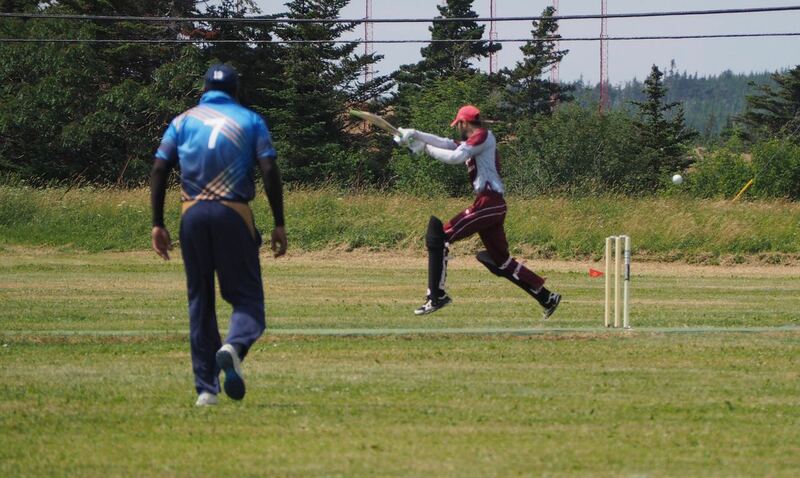 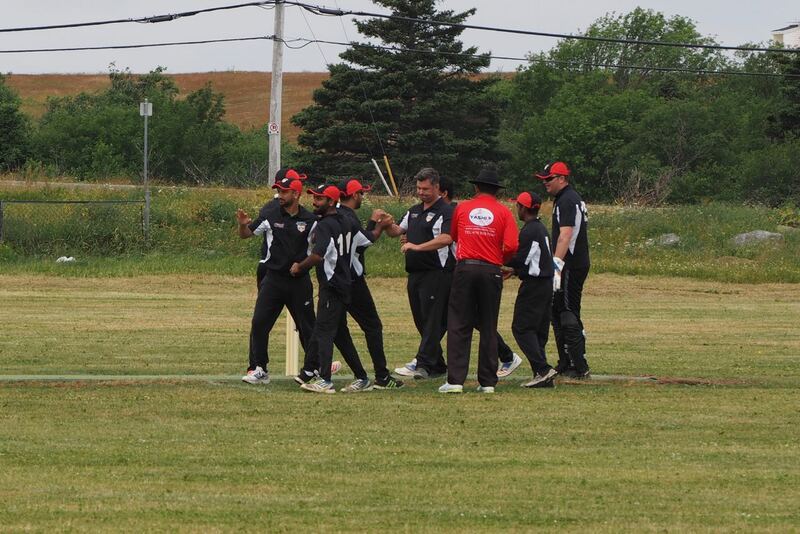 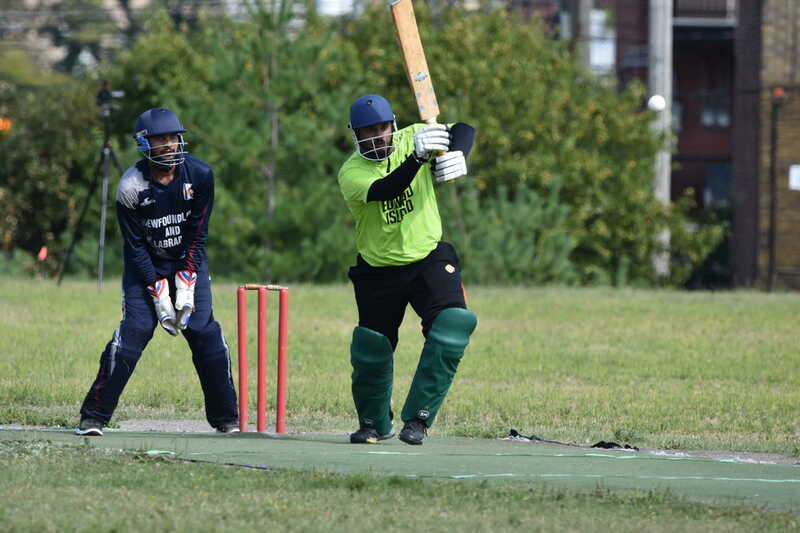 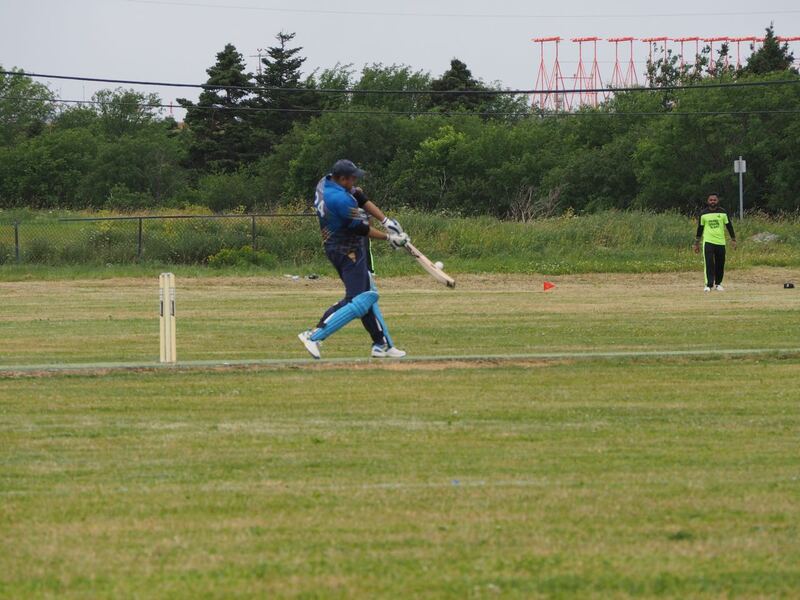 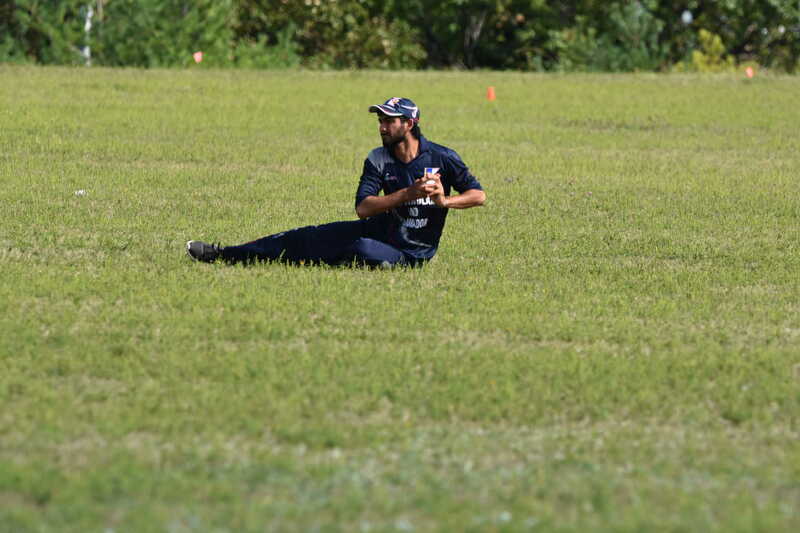 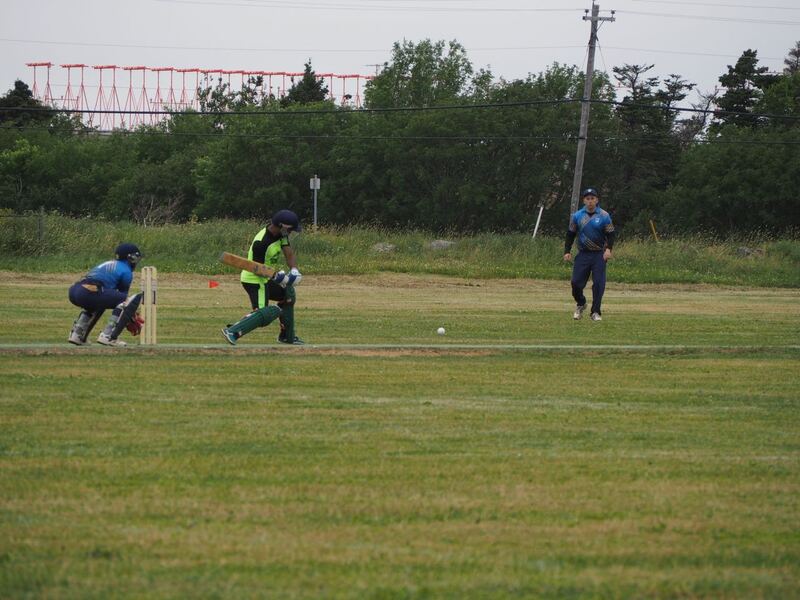 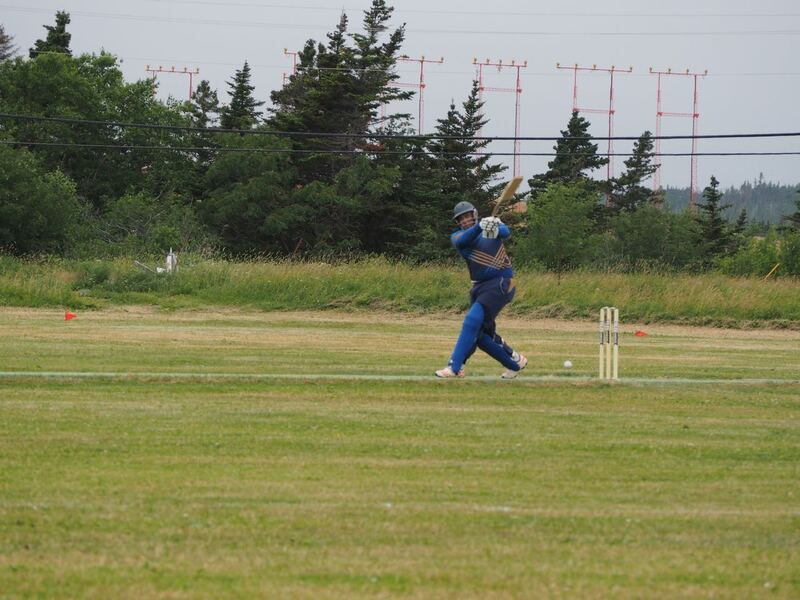 The Eastern Canadian Cricket Championships got underway on Friday in St. John’s with four matches. 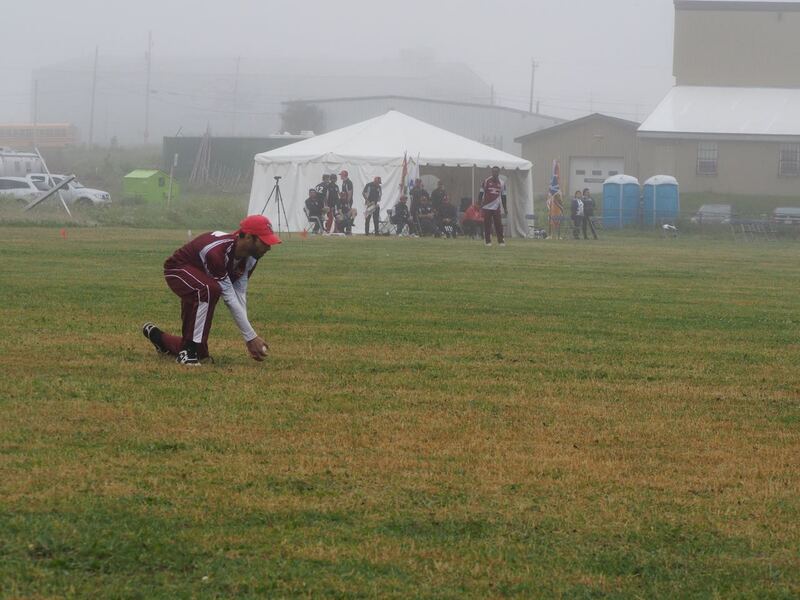 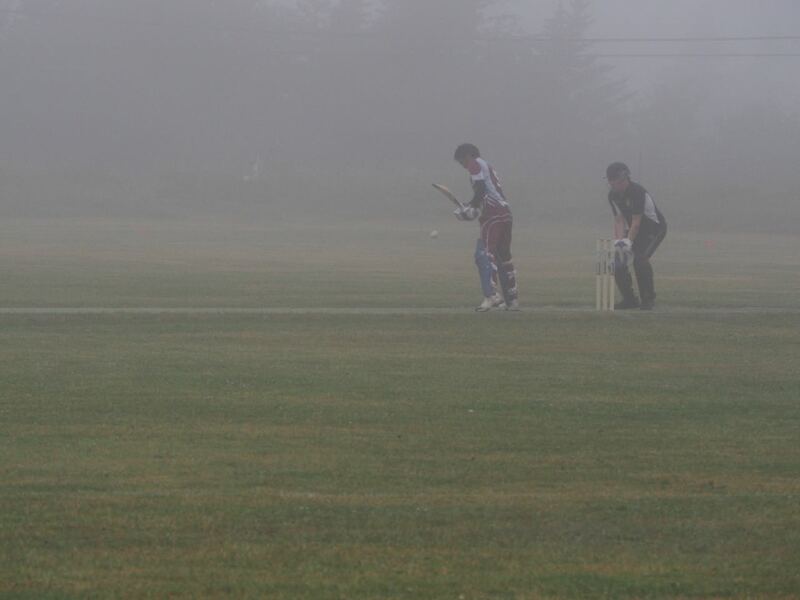 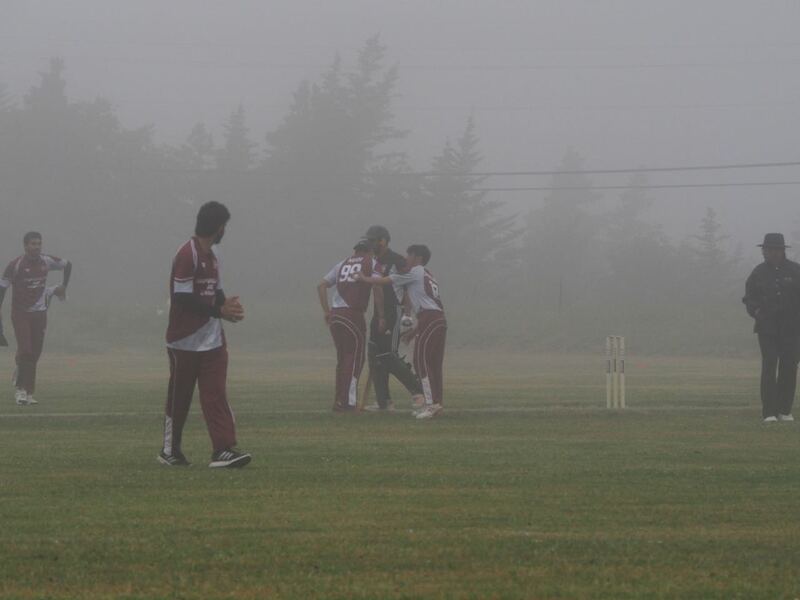 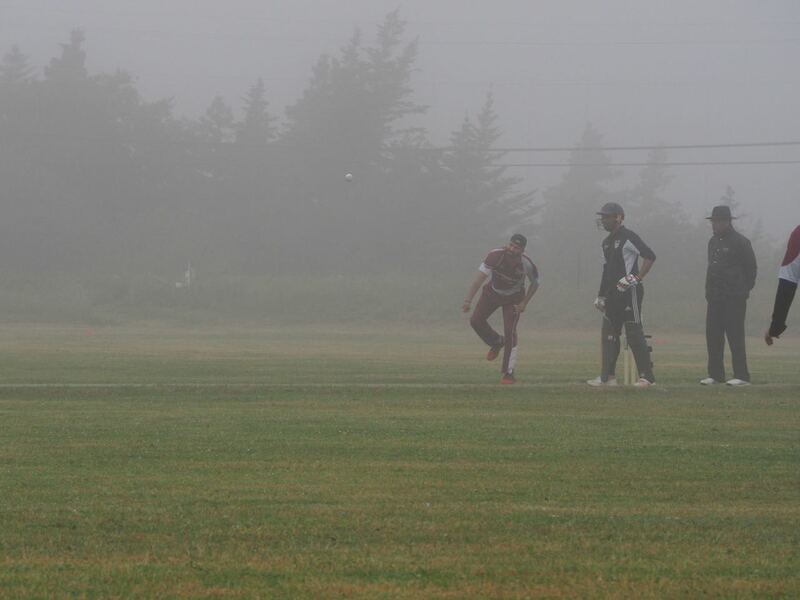 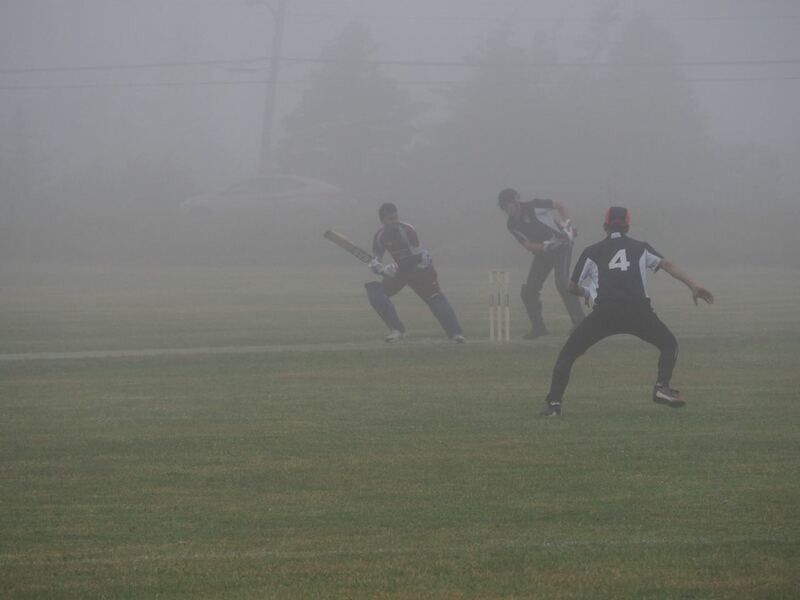 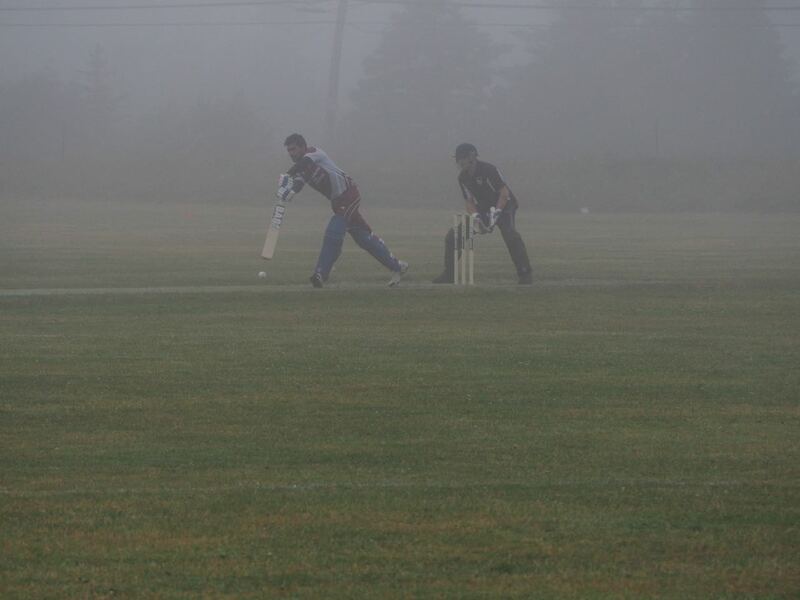 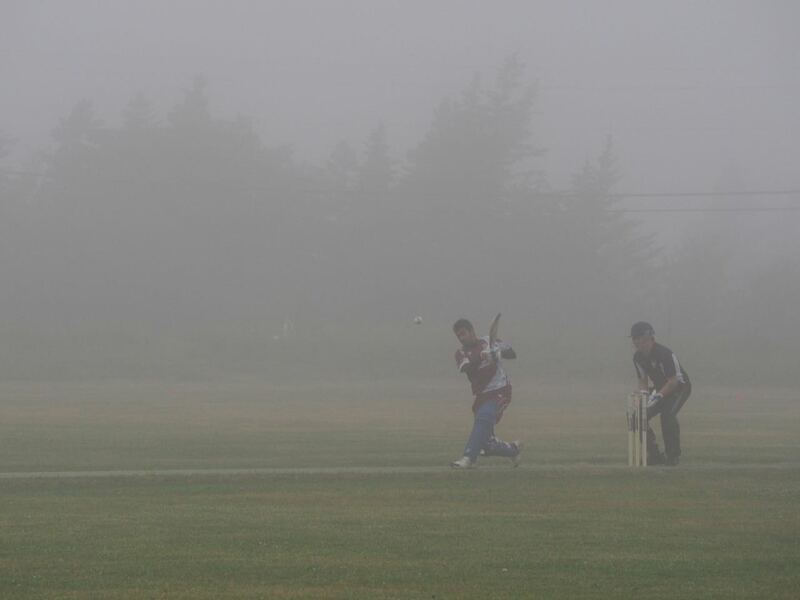 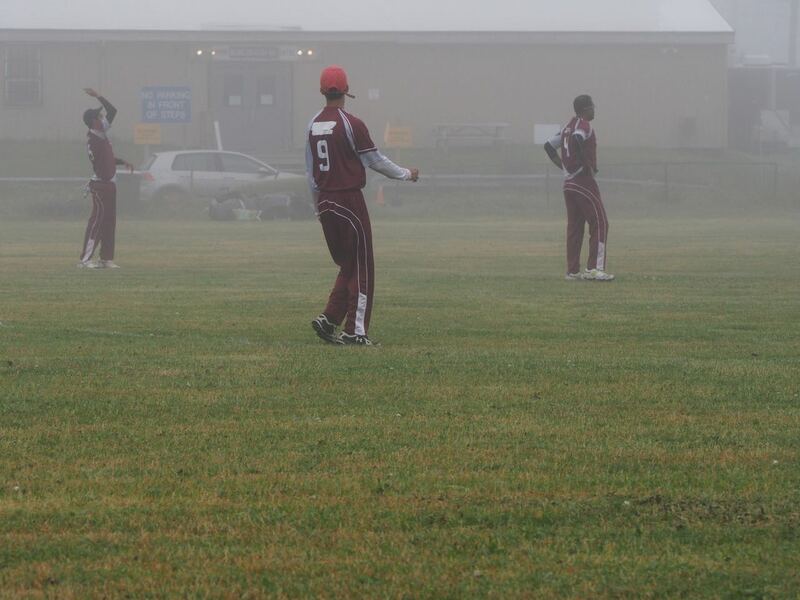 Hosts Newfoundland and Labrador battled New Brunswick in the early game in classic St. John’s weather of rain, drizzle and fog. 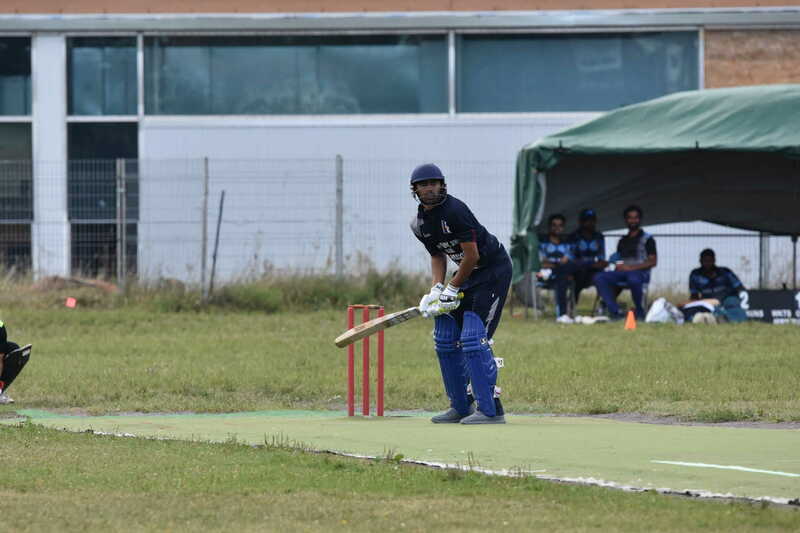 The home team got off to a great start batting first thanks to a big partnership of between Rahul Vashishtha and Gurman Khurana. 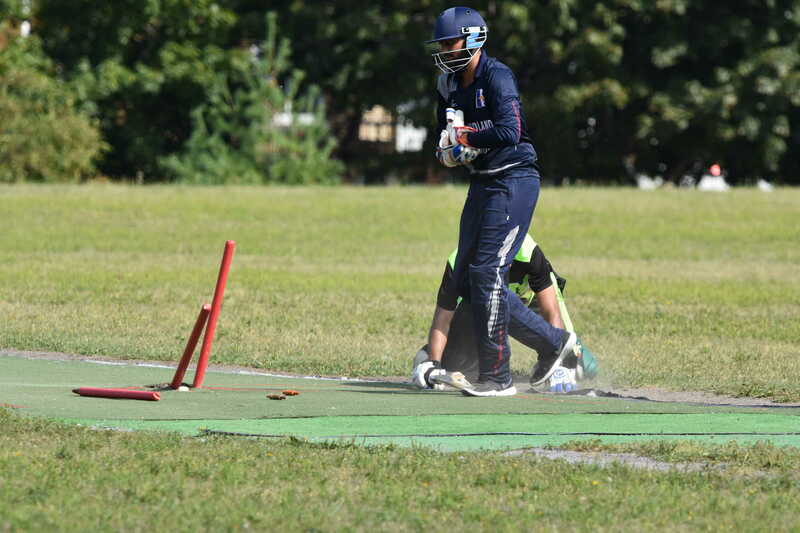 Khurana was out in the last over for 79, but Vashishtha batted through to the end for 100* from 56 balls with 10 fours and 6 sixes. 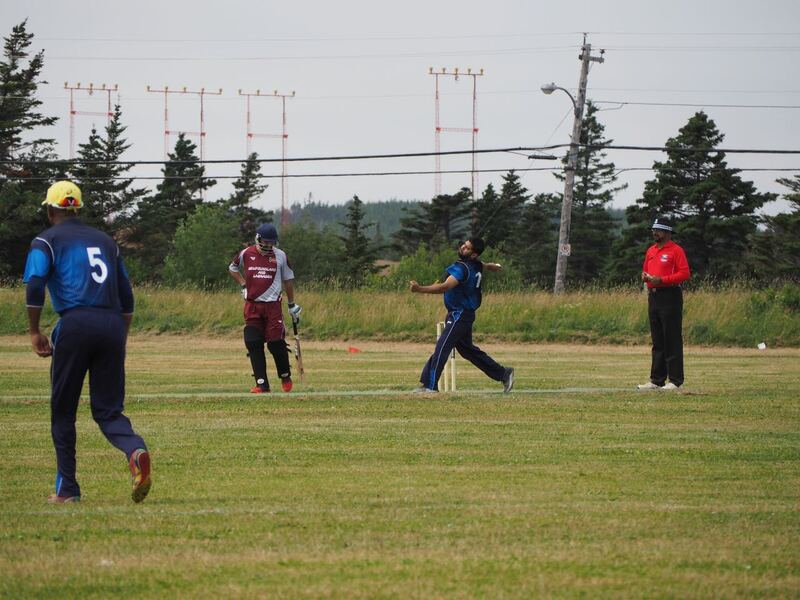 New Brunswick made a good start in reply, and looked well in the game after 10 overs but tight bowling from NL saw them fall behind the run rate, and NL ran out the winners by 63 runs. 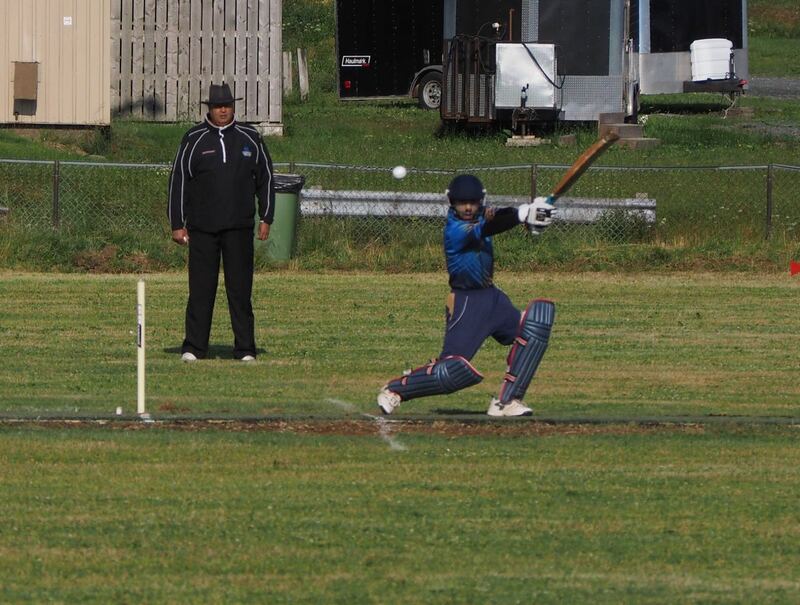 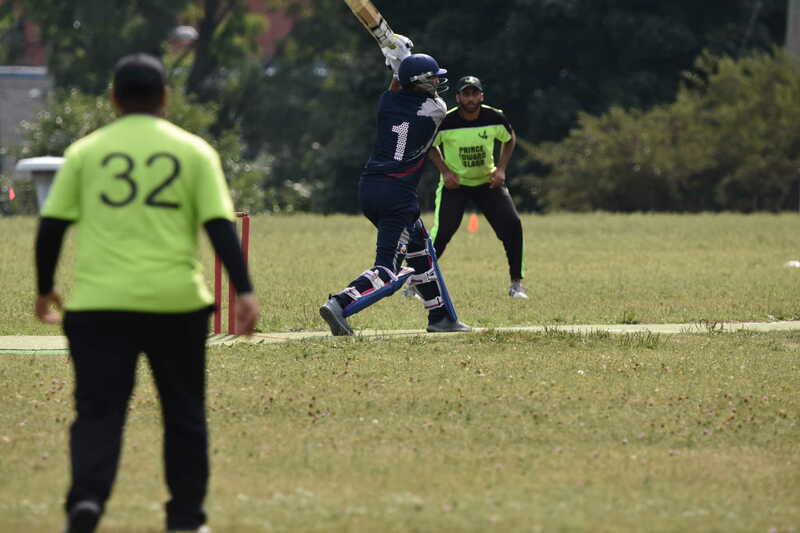 Anmol Zakhmi top scored with 60. 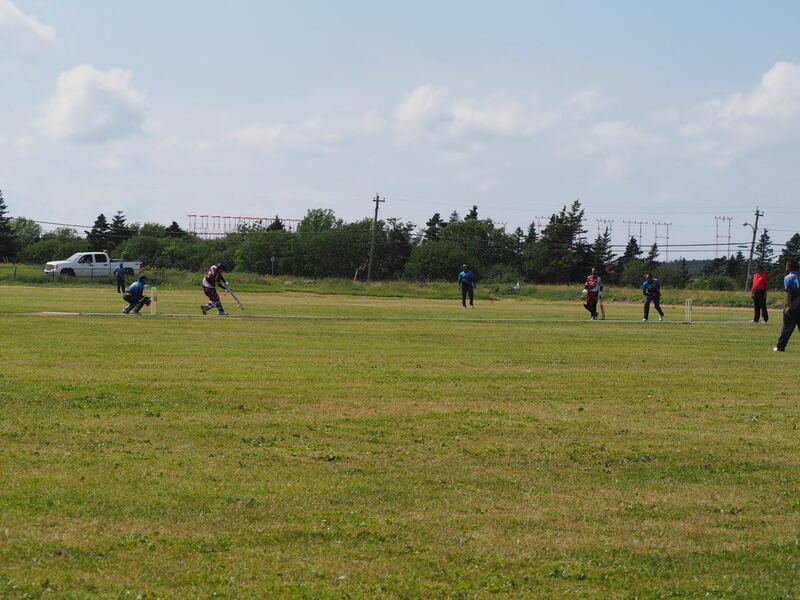 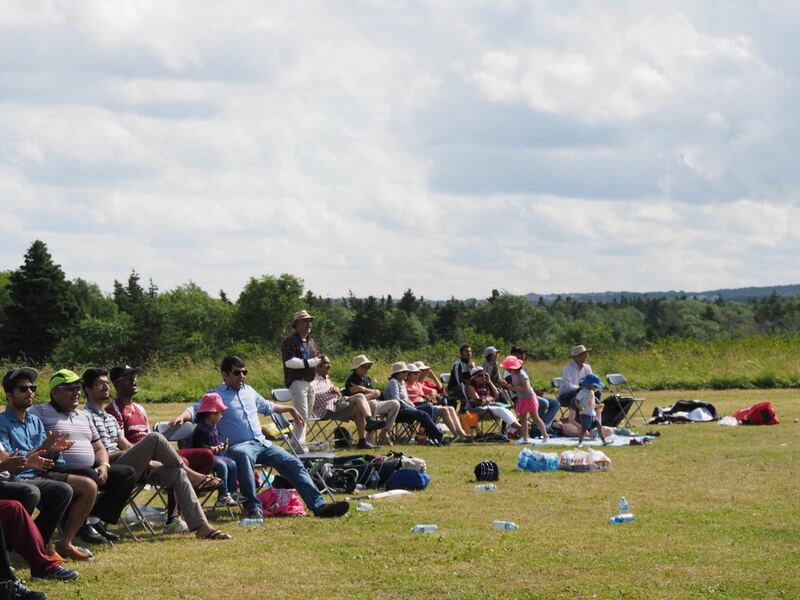 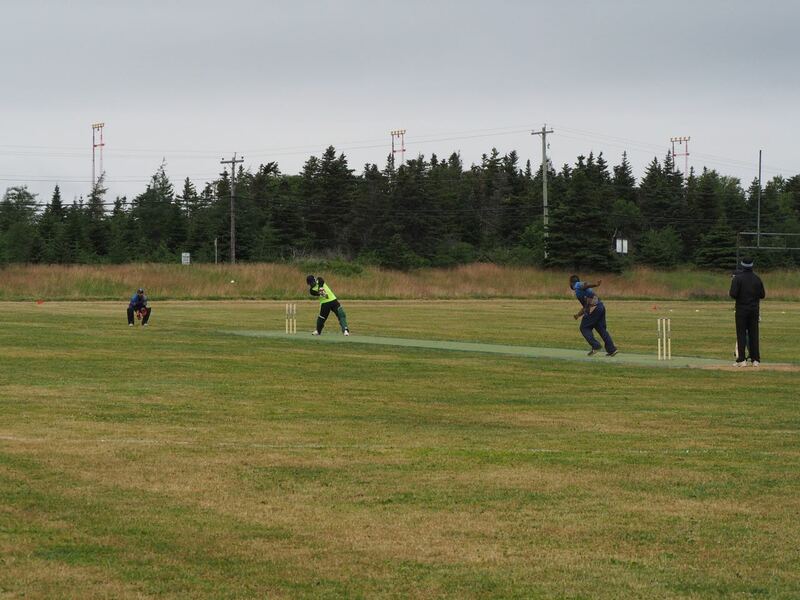 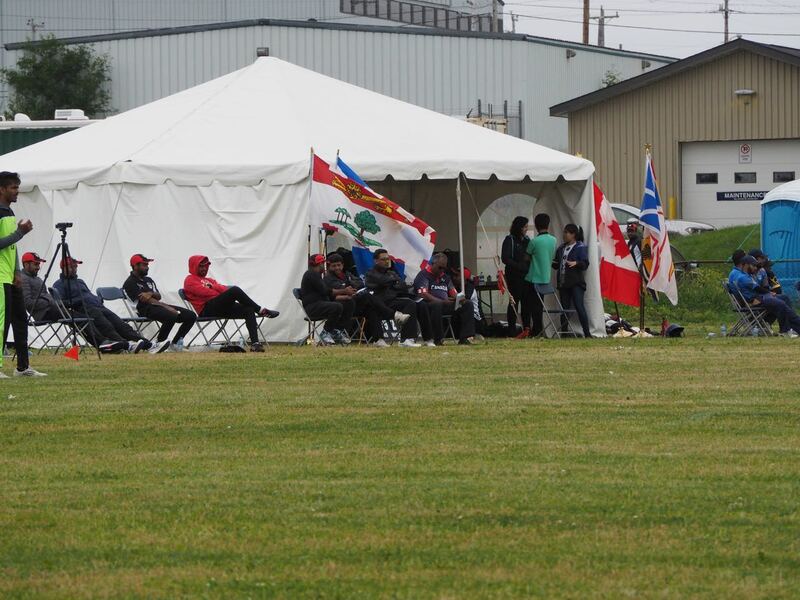 The weather improved for the second match as Nova Scotia played PEI. 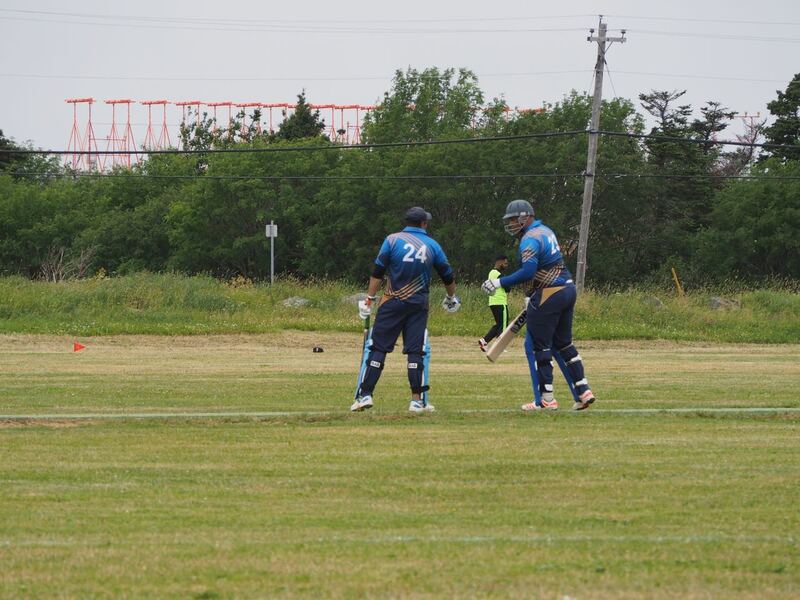 Nova Scotia put up a big total of 209/3 thanks to 91 from Amit Joshi, well supported by 49 from Dinesh Gaddam. 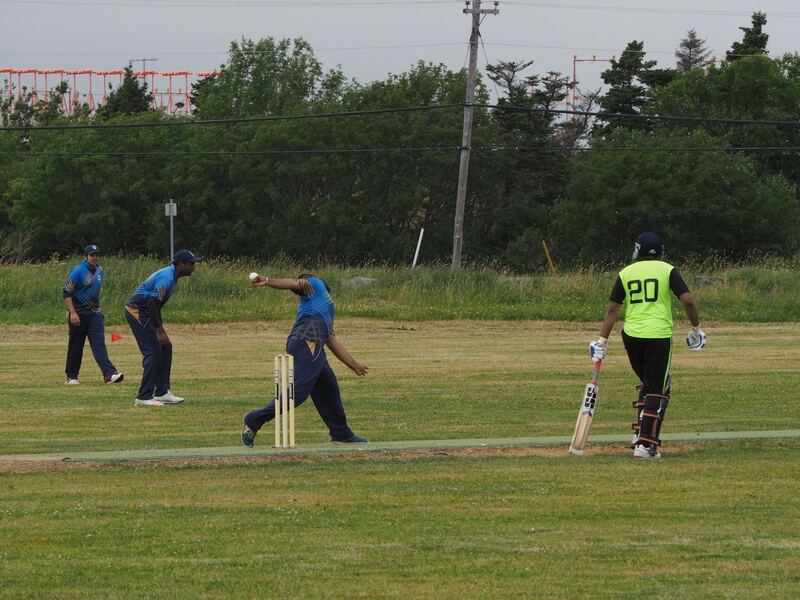 PEI put up a spirited fight but fell short by 28 runs. 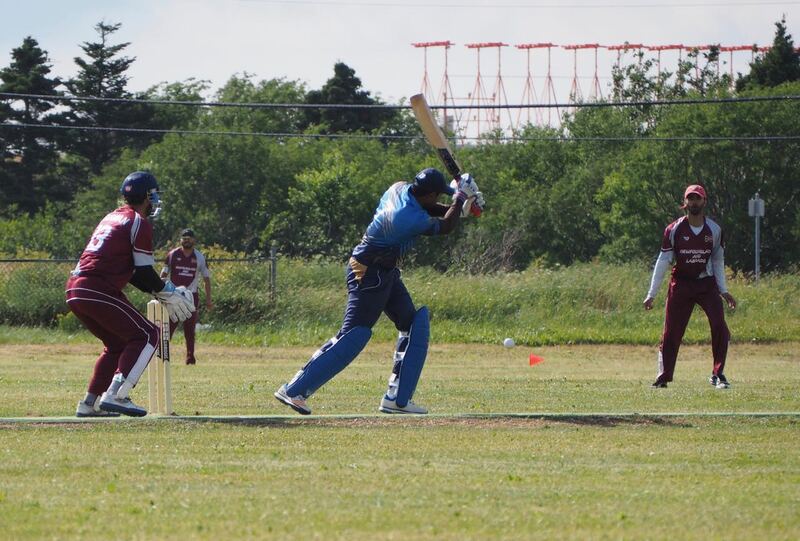 Umang Ramani top scored with 49. 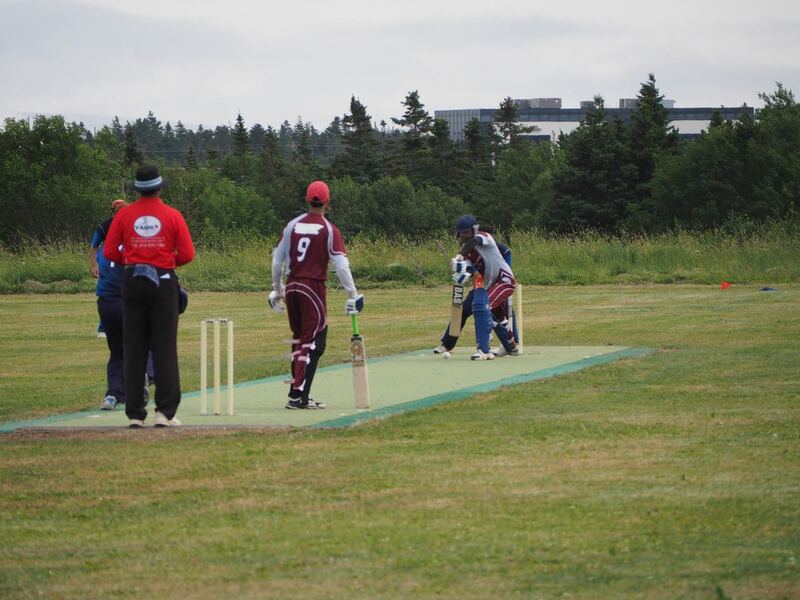 In game 3 NL took on last year’s champions, Quebec. 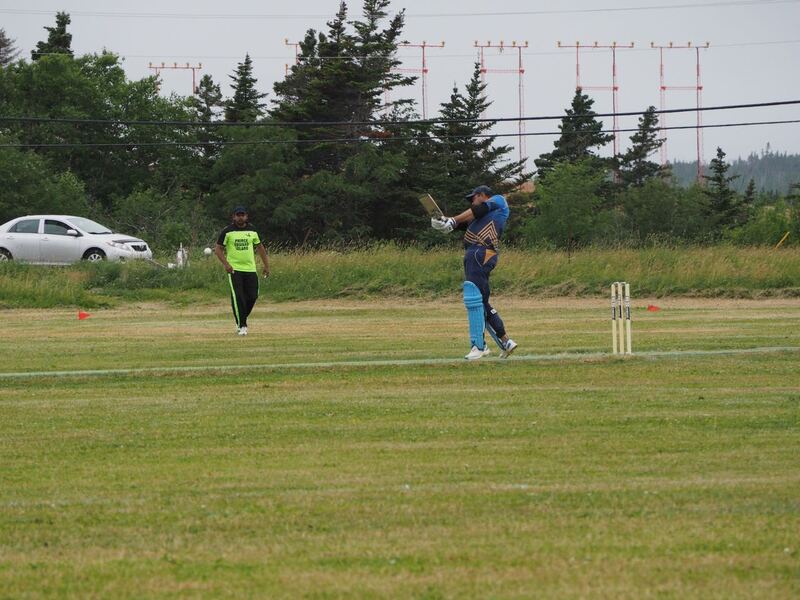 NL batted first and made 127, with Rahul Vashisht again top scoring with 51, and Shami Khan contributing a quick 20. 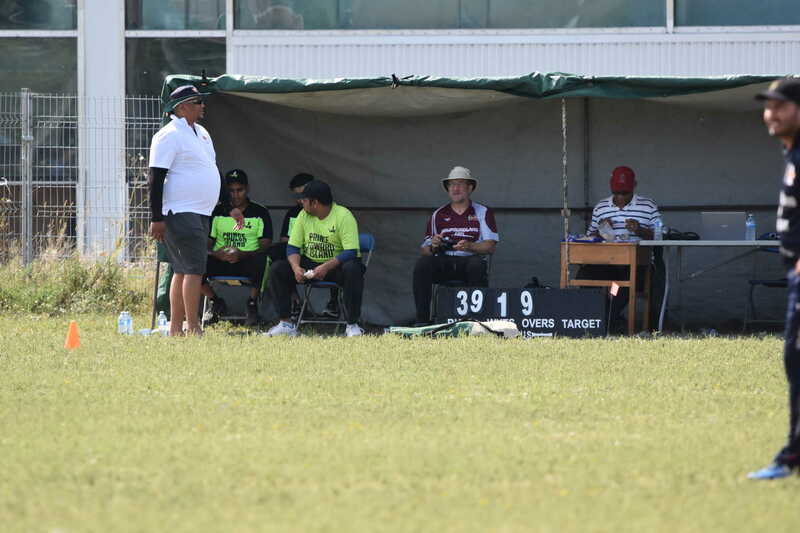 Malinga Wijethilaka led the bowlers with 3/24. 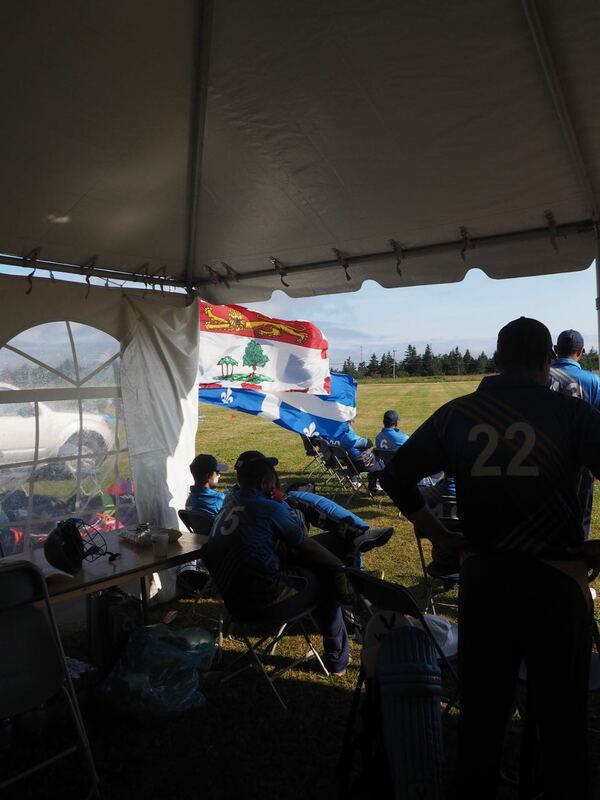 Quebec knocked off the runs for the loss of two wickets, thanks to an excellent partnership of 93 between Shayan Ahmed and Pooran Ramkisson. 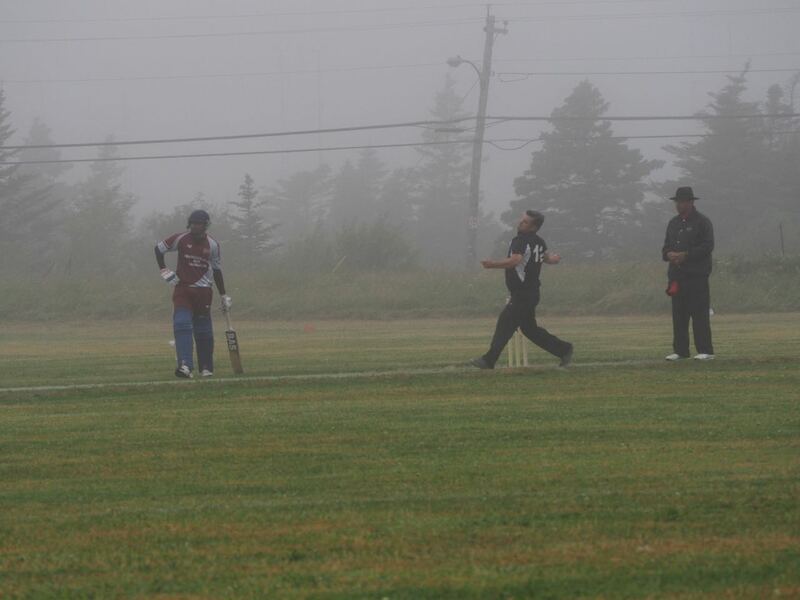 Rain hit the final match as Nova Scotia played New Brunswick. 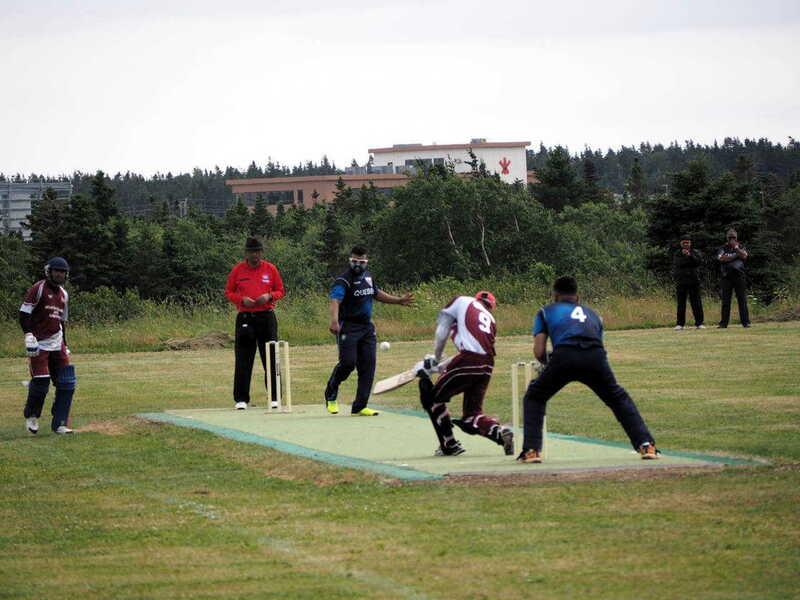 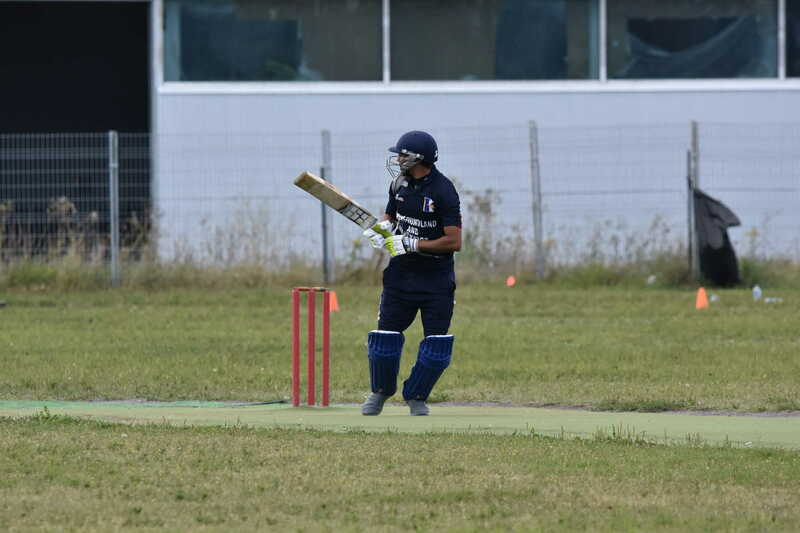 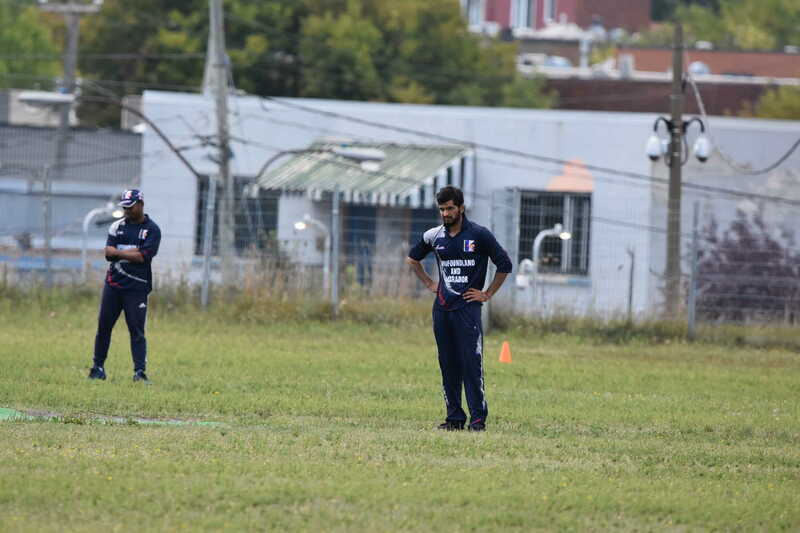 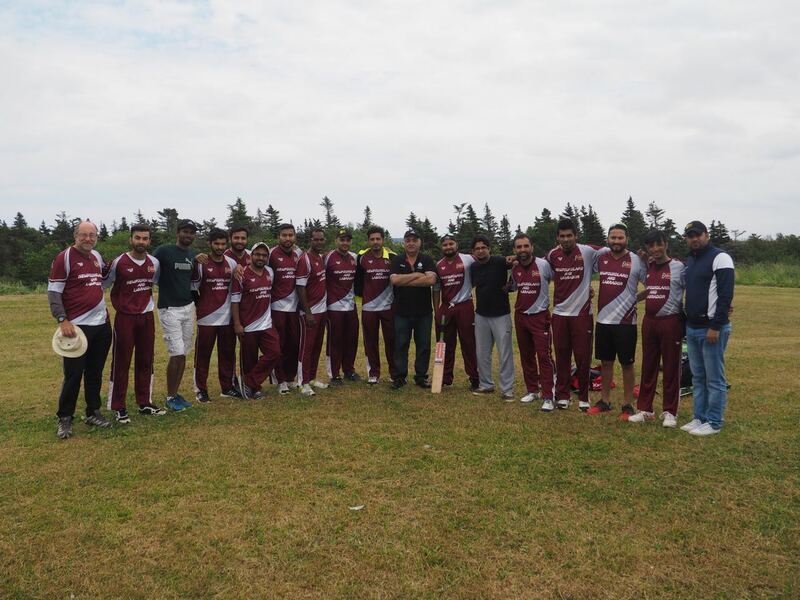 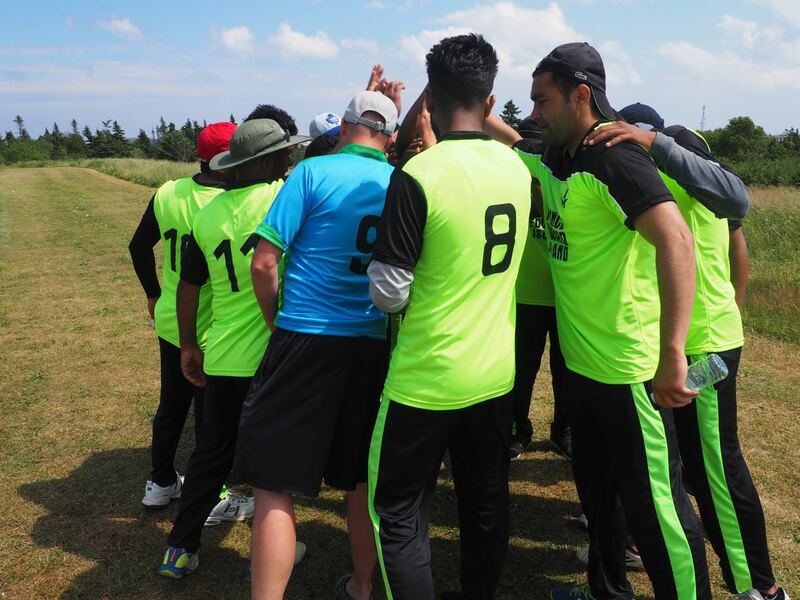 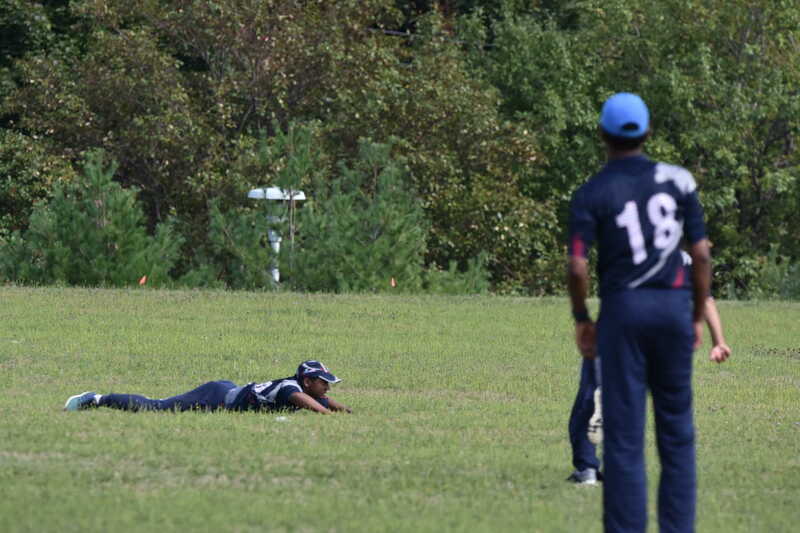 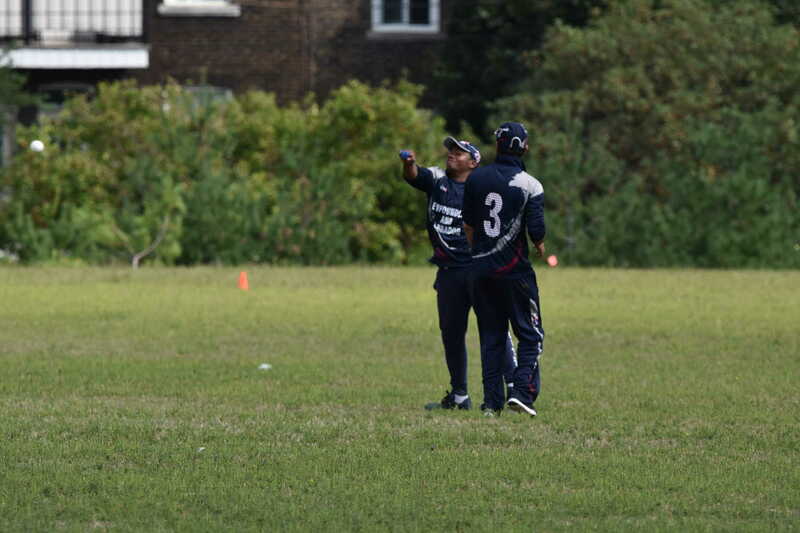 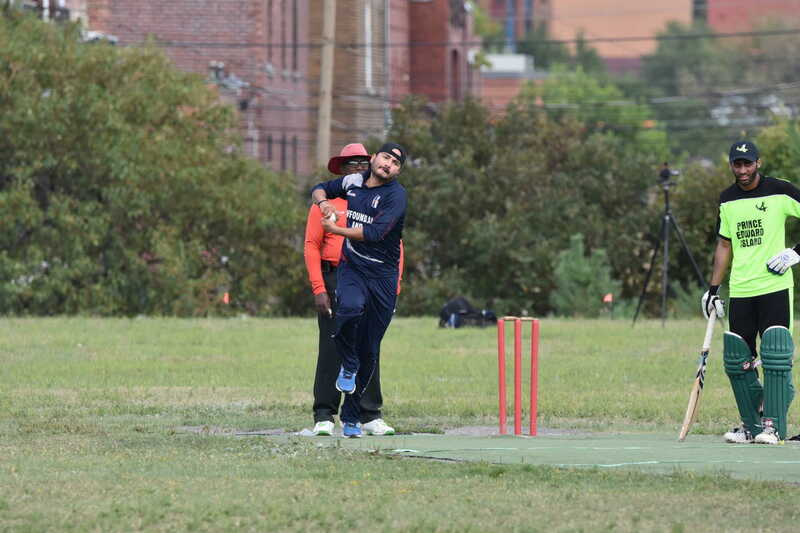 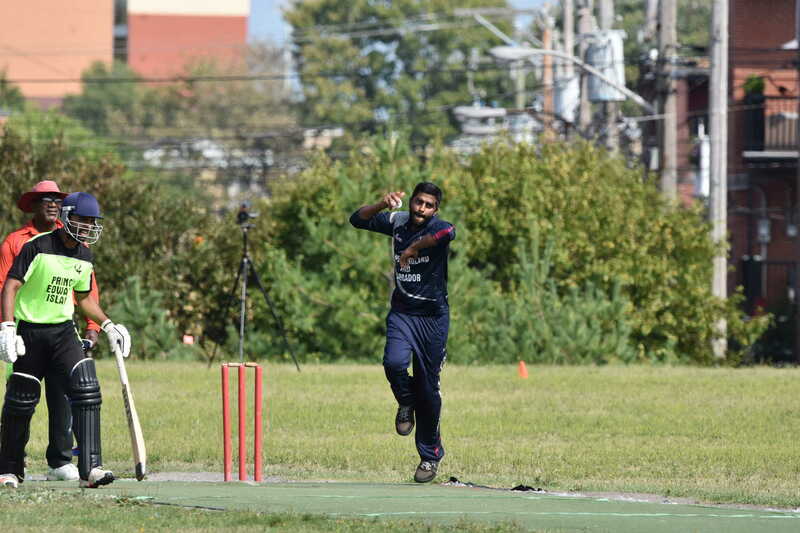 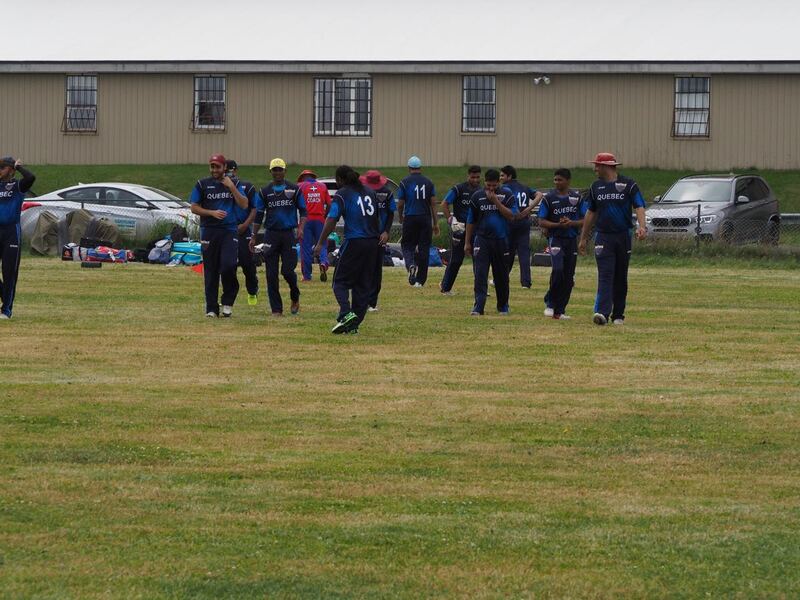 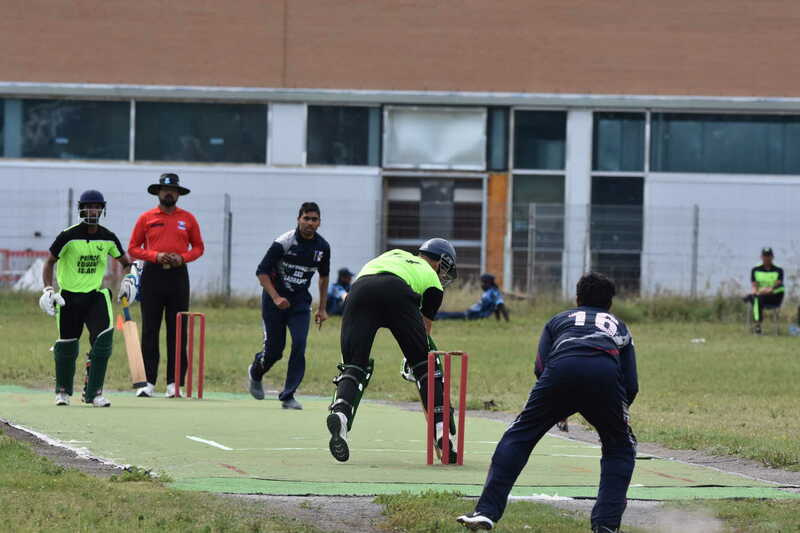 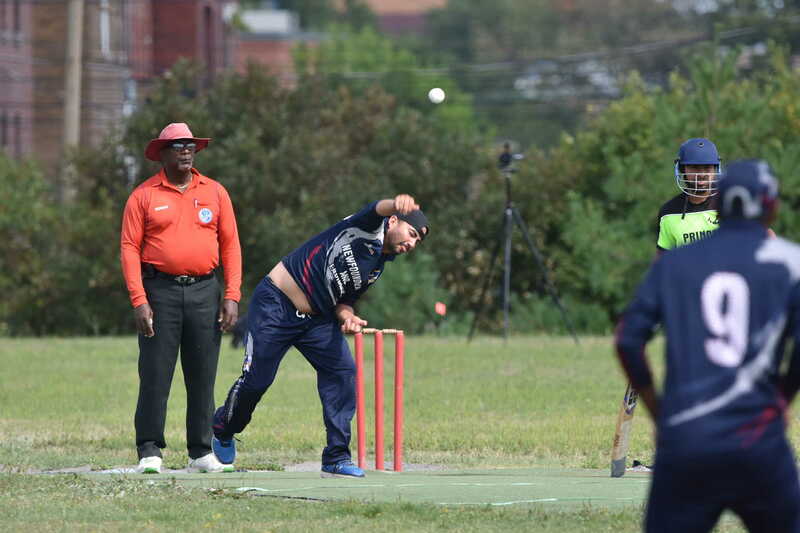 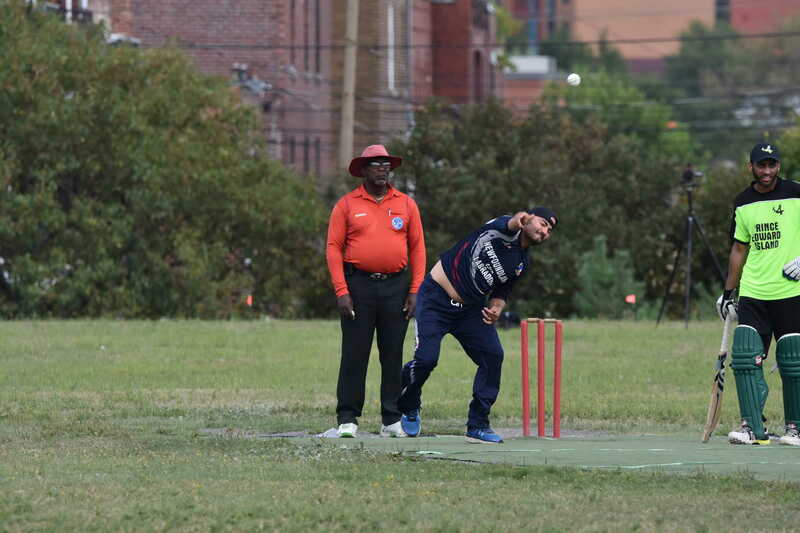 Nova Scotia made 157 in 16 overs, with Arslan Khan top-scoring with 35, and New Brunswick’s reply was cut short after just 6 overs, with them 52/3, leaving Nova Scotia winners by 11 runs (D/L). 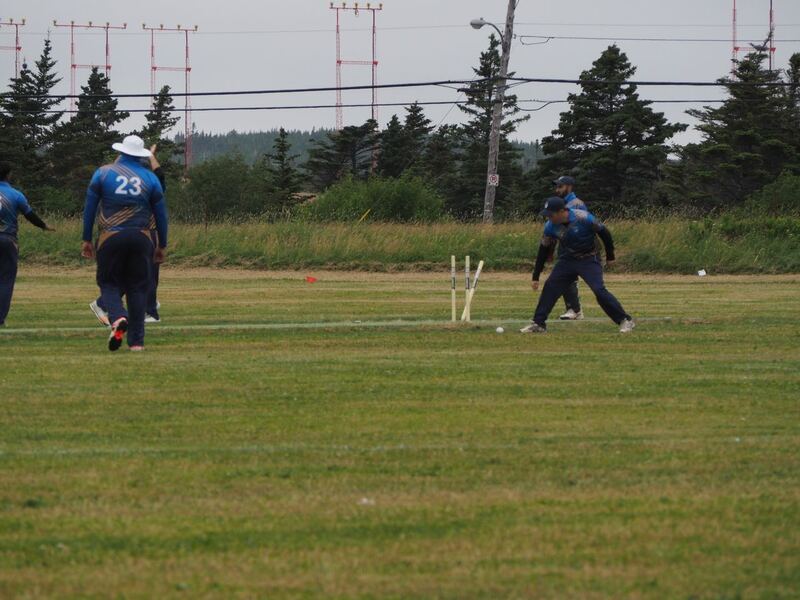 Hosts Newfoundland and Labrador suffered the narrowest of defeats by Nova Scotia in what was in essence a a semi final at the Eastern T20. 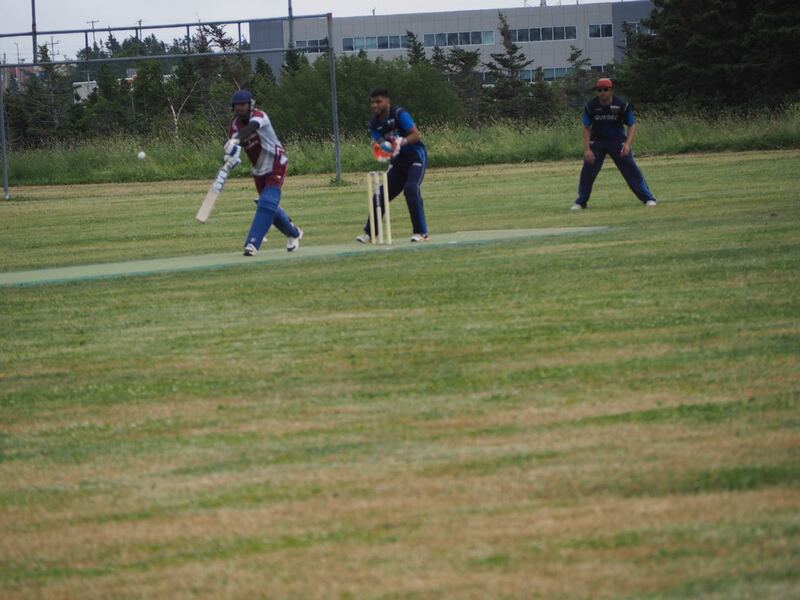 NL batted well to post 215/4 thanks to 76 from Rskesh Negi and 70 from Rahul Vashista. 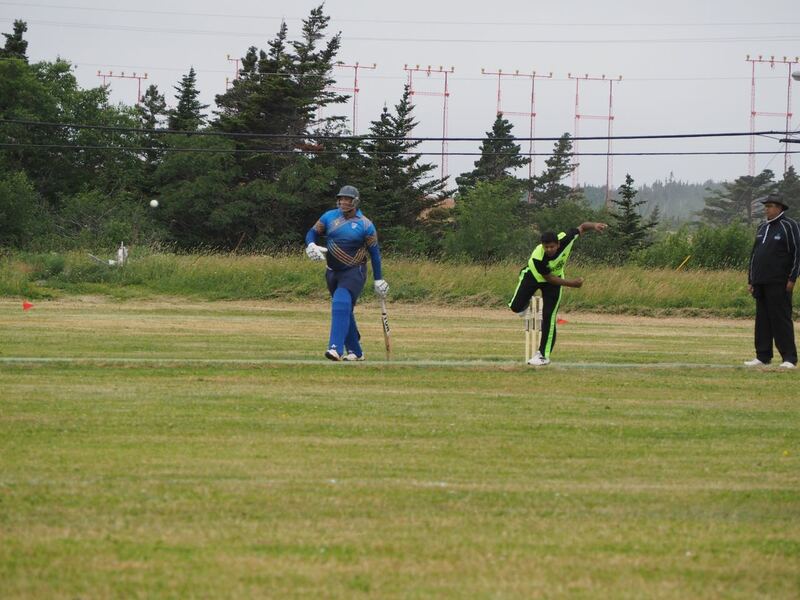 They had Nova Scotia on the ropes at 136/7 with 5.2 overs to go but a brilliant innings of 50 from Arun Nag took Nova Scotia to an unlikely last over win. 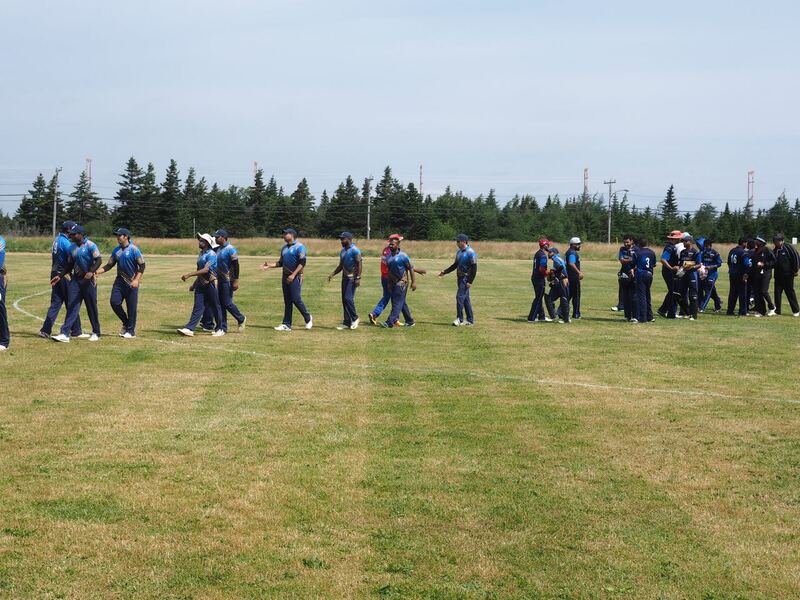 In other matches, Quebec beat Nova Scotia by 8 wickets in the day’s first match; New Brunswick beat PEI by 7 wickets; and in the day’s final match Quebec defeated PEI. 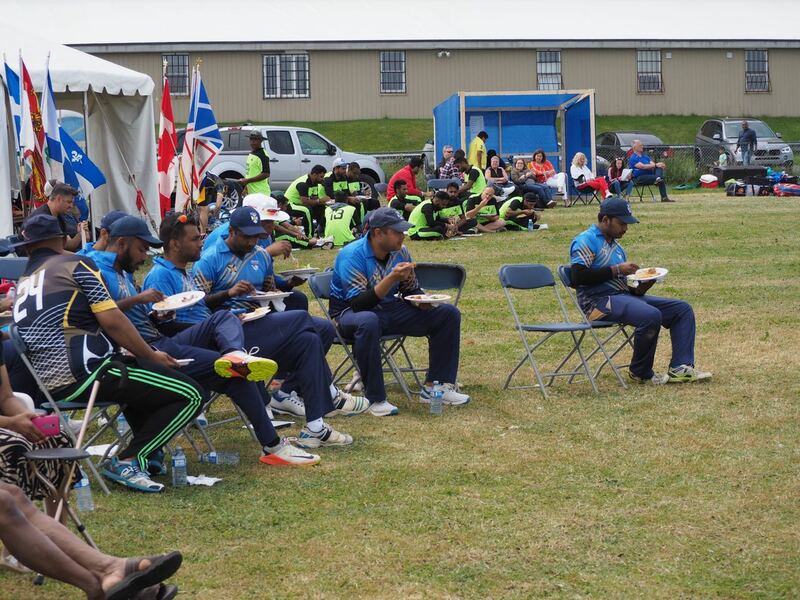 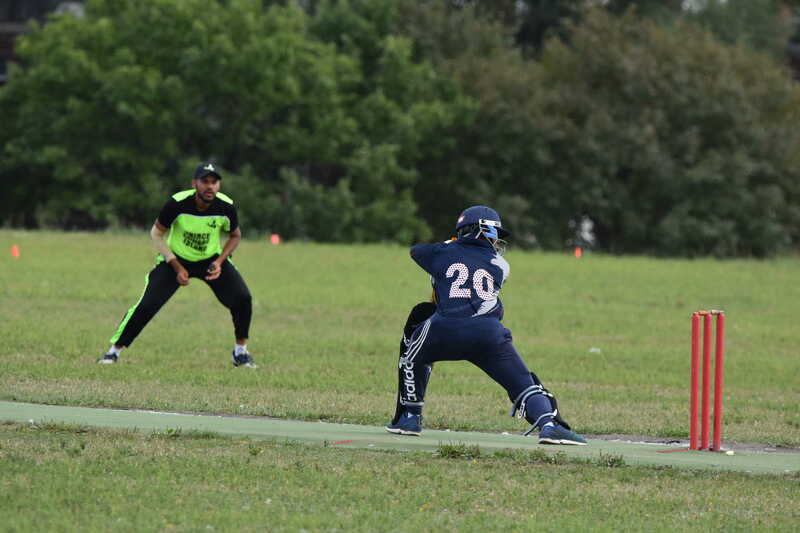 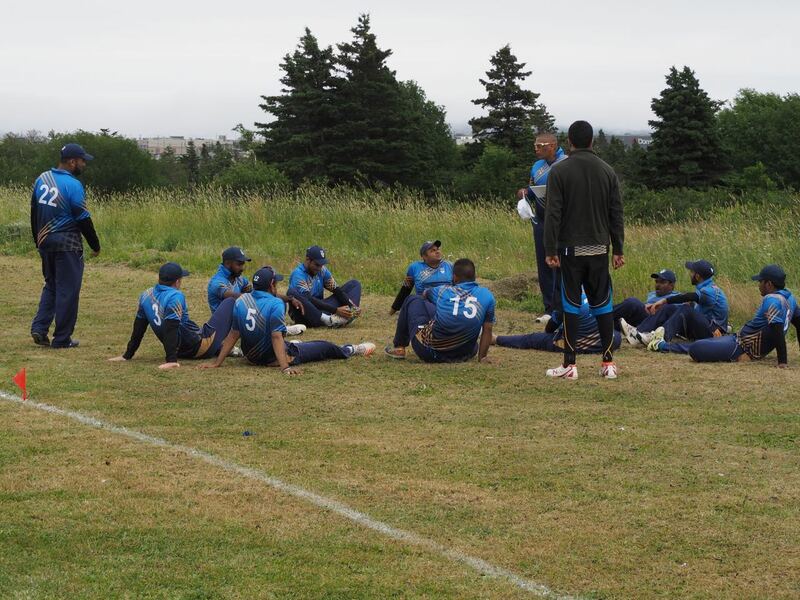 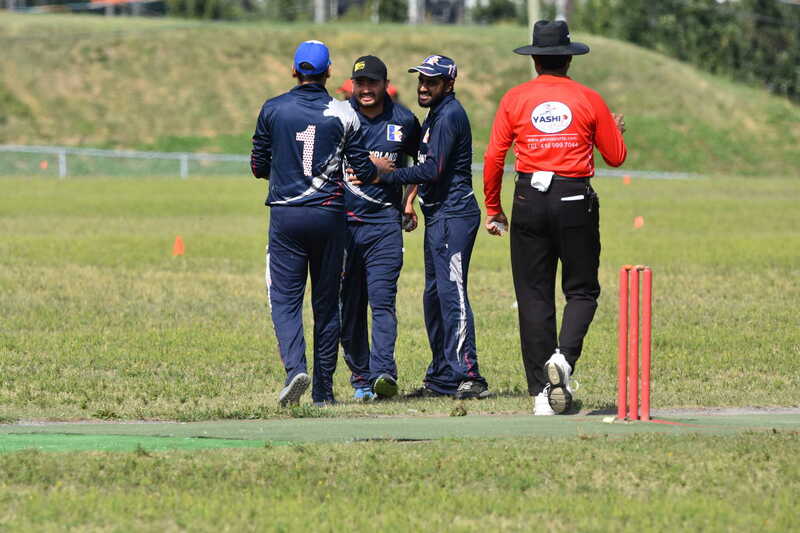 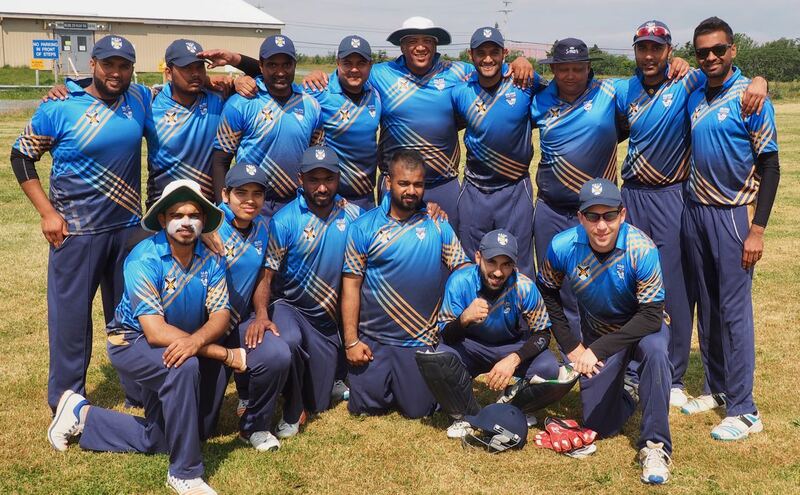 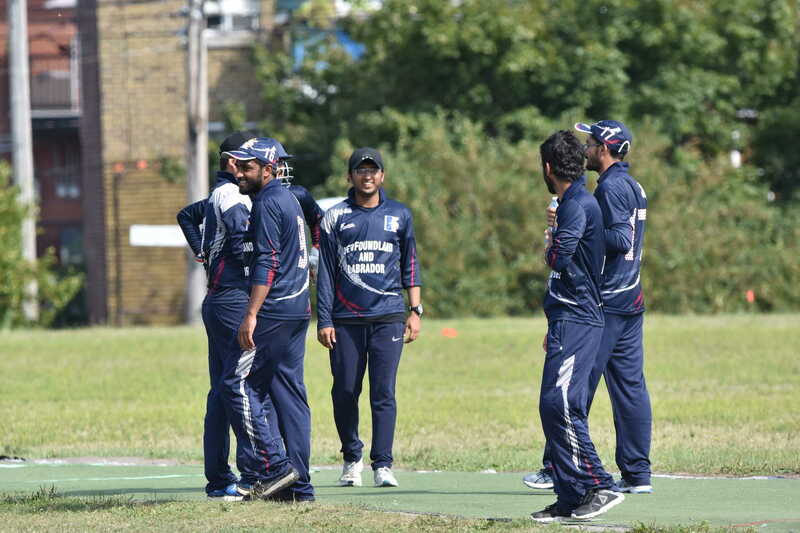 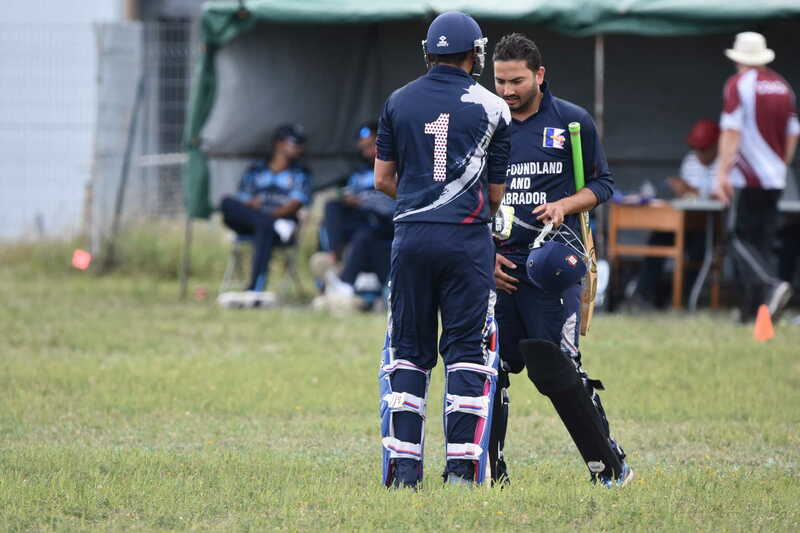 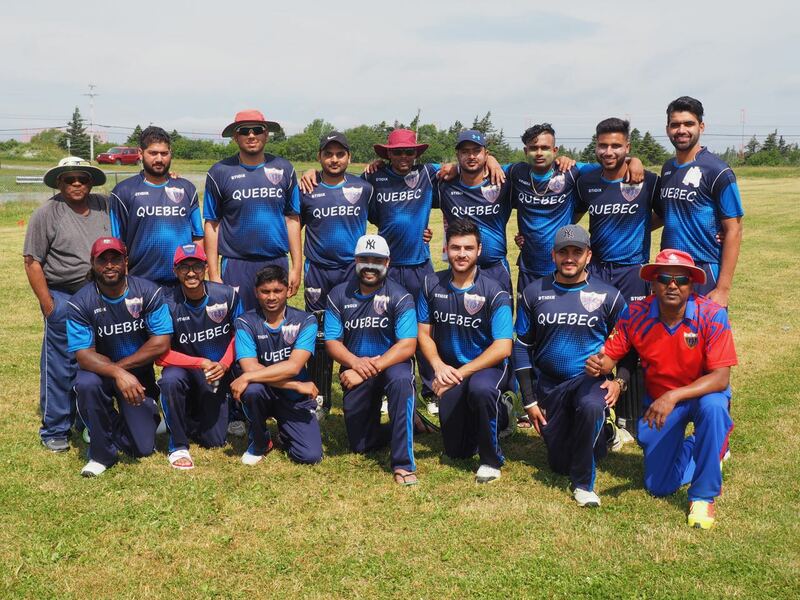 Nova Scotia upset Quebec in Sunday’s final- Quebec had gone through the round-robin unbeaten, wining every game easily but Nova Scotia again showed their ability to fight back from a poor position of 77/7, scoring 162 runs thanks to 72 runs from man of the match Dinesh Gaddam. 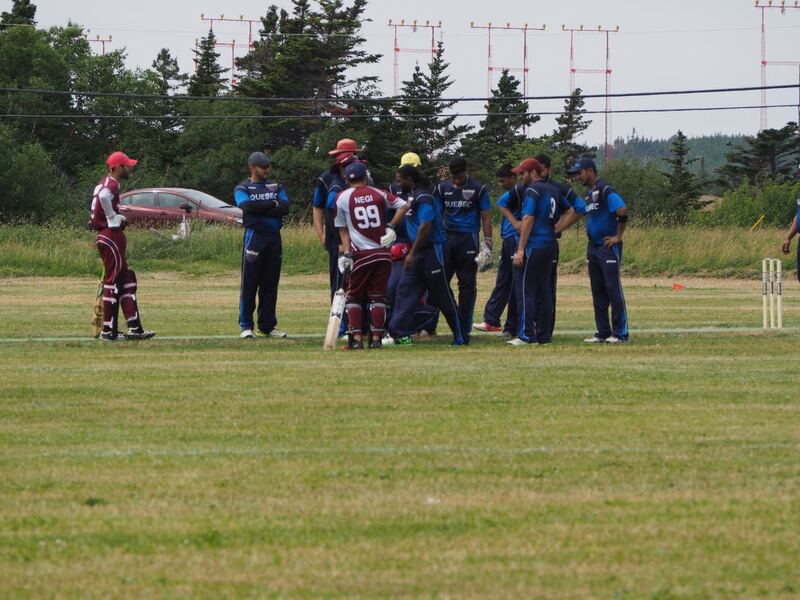 Quebec made a good start and the match remained close until the final overs, but eventually Nova Scotia ran out winners by 28 runs. 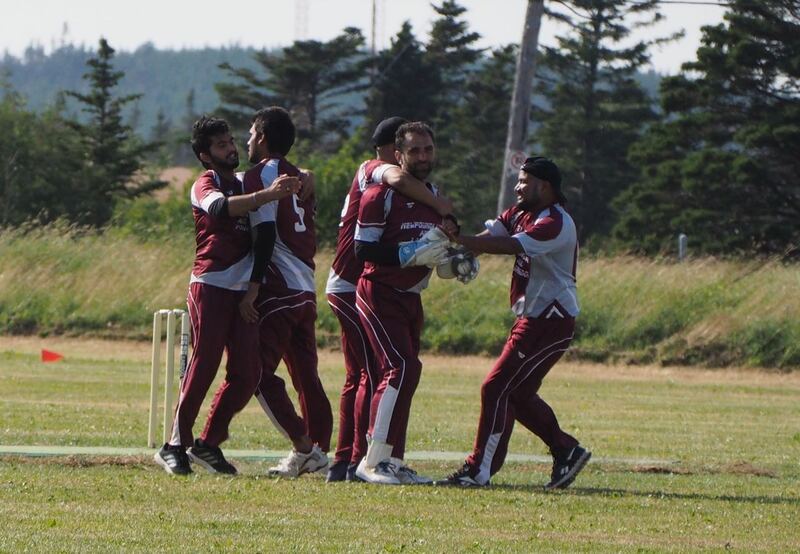 Hosts Newfoundland and Labrador placed third – a win over PEI early Sunday morning secured the bronze medal. 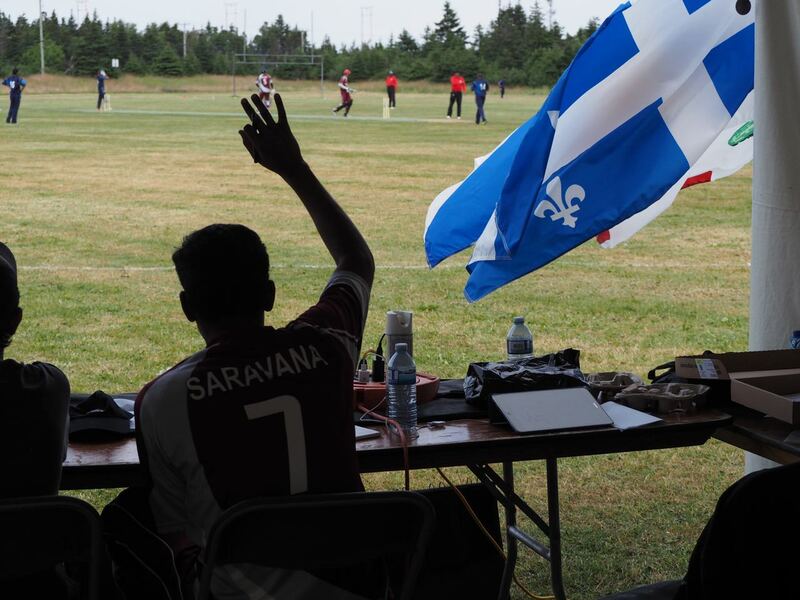 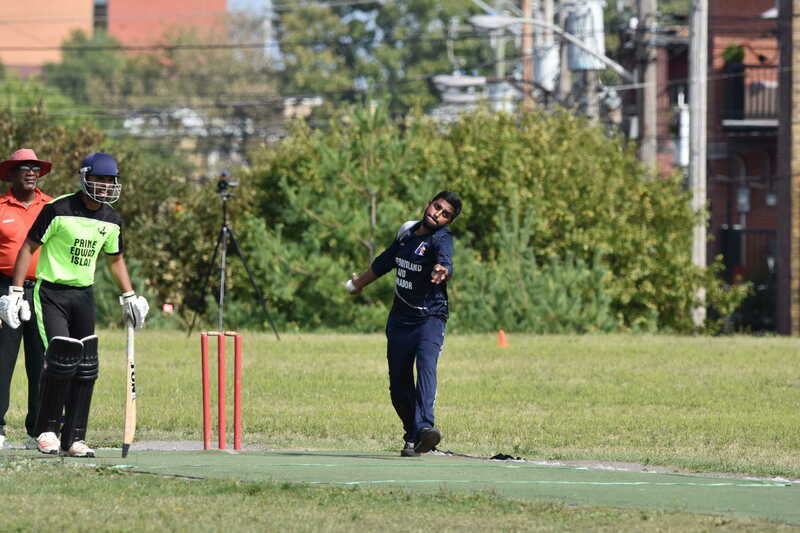 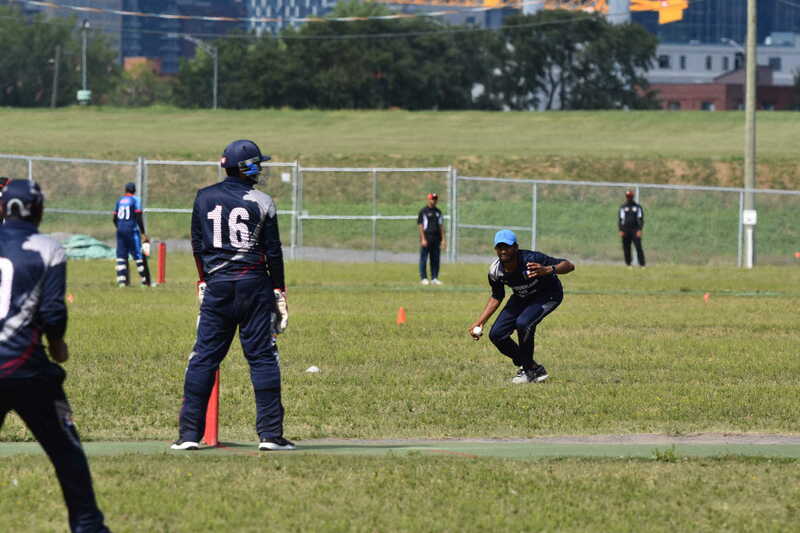 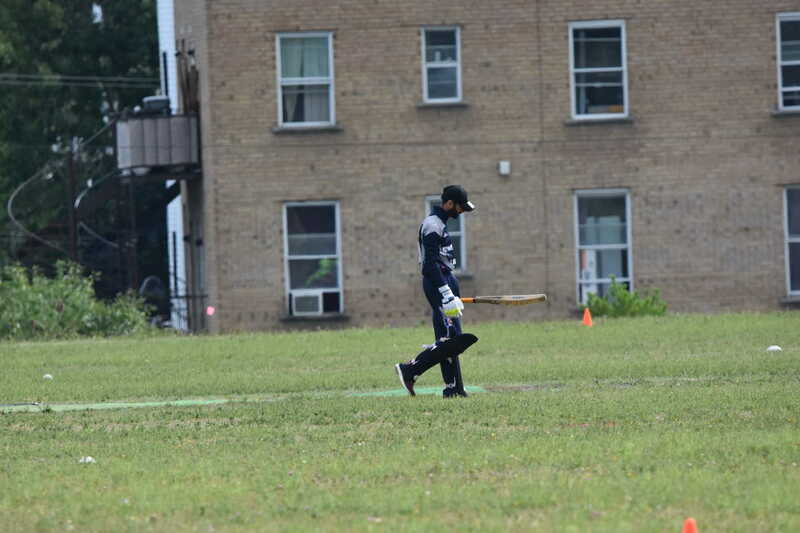 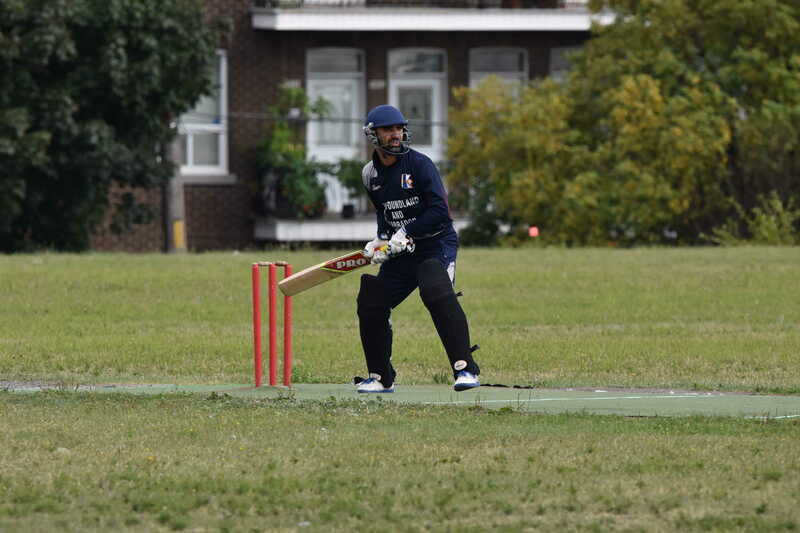 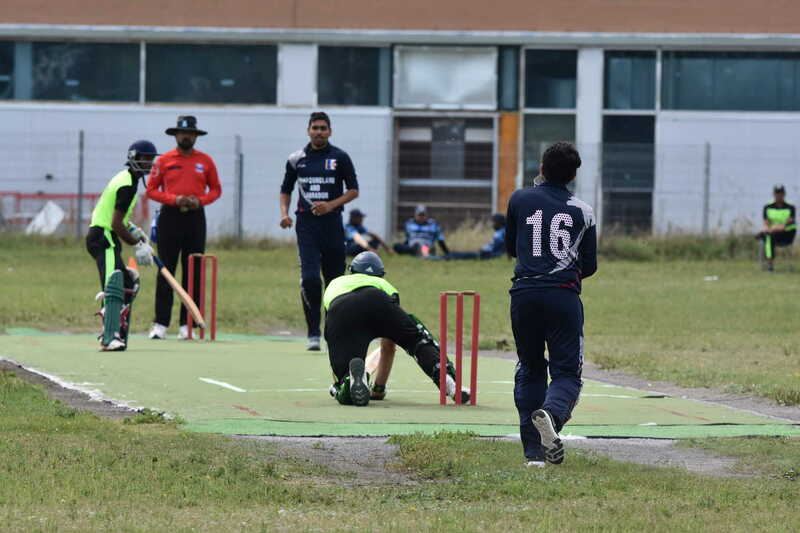 Earlier Quebec won their final round robin match over New Brunswick, led by the best score of the tournament, 107 from Shaiyan Ahmed, the tournament’s top bat. 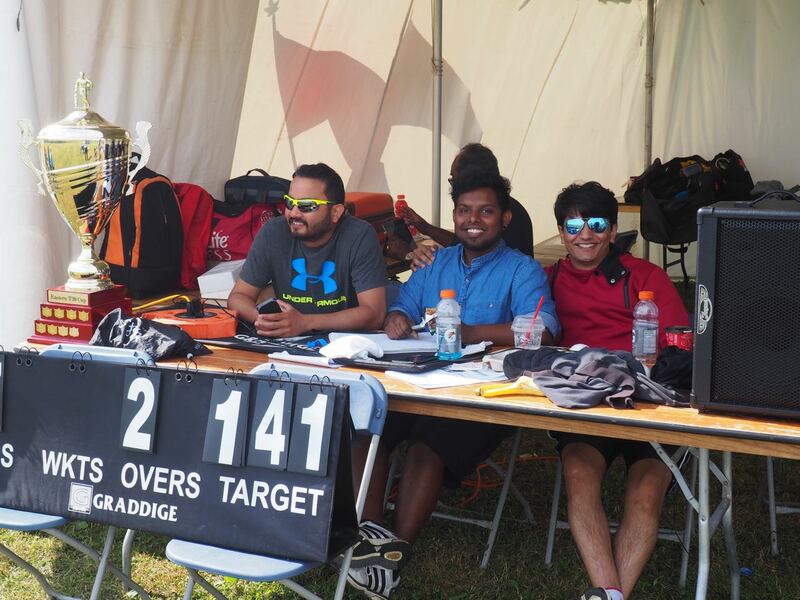 The statistics below were compiled from electronic scorecards. 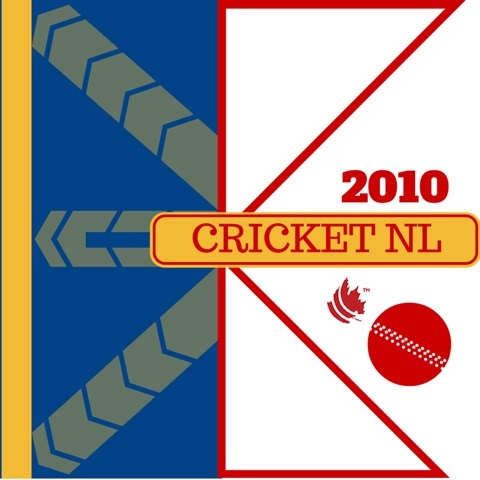 If you believe there are any errors, please contact Cricket NL with corrections. 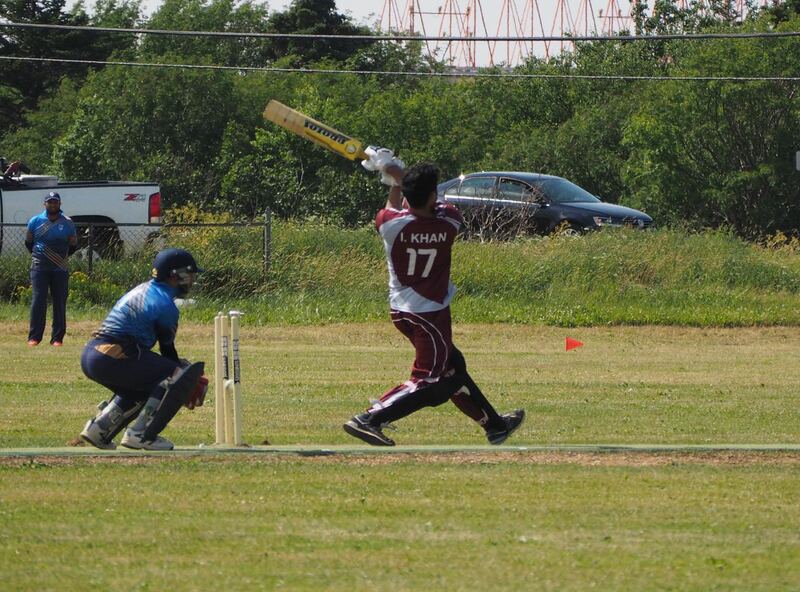 In total 160 sixes were hit in the tournament in 11 matches. 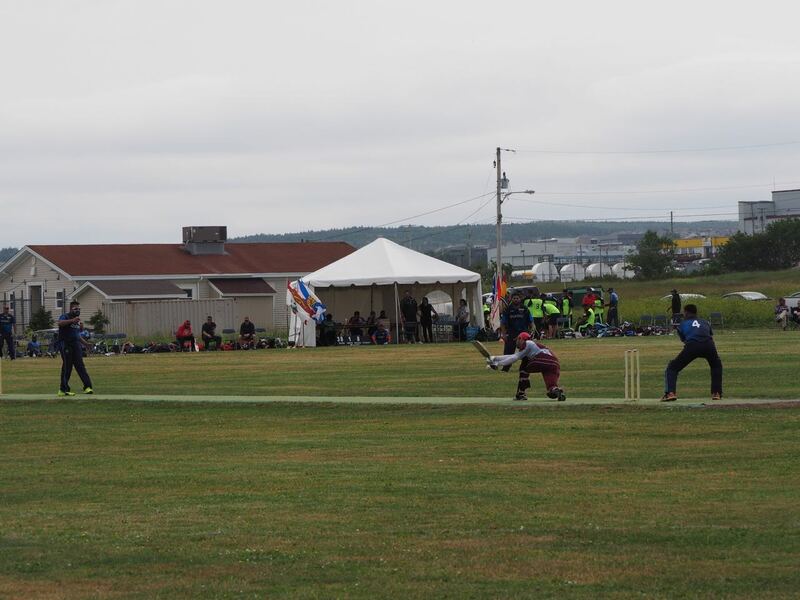 We gratefully acknowledge the support of Deputy Mayor Ron Ellsworth & Danny Breen from the City of St. John’s, Mr. Rod Snow from NL Sports Centre Inc., the Government of Newfoundland and Labrador, Mr Ranjit Saini & BOD of Cricket Canada, Destination St. John’s, the St. John’s Airport Authority and others in making this tournament possible.